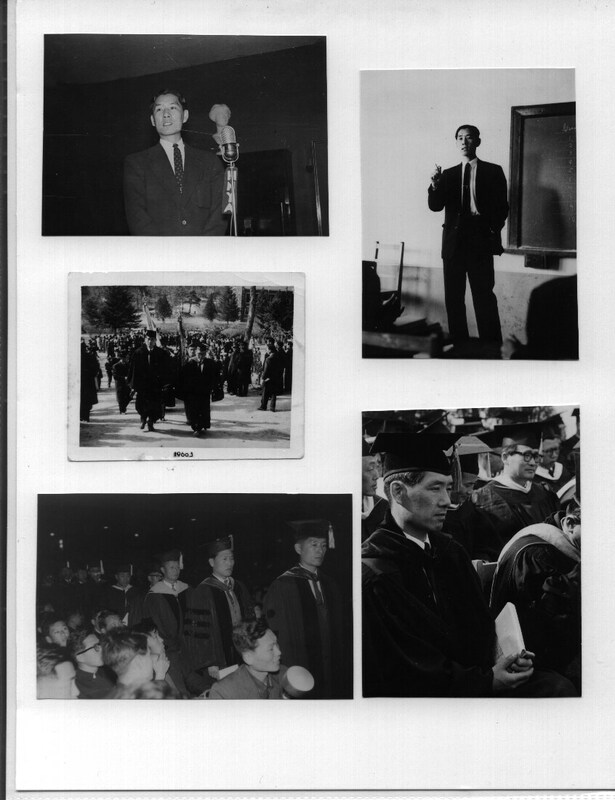 Welcome to the memorial homepage for my late father, Dr. Hi Chang Chai. 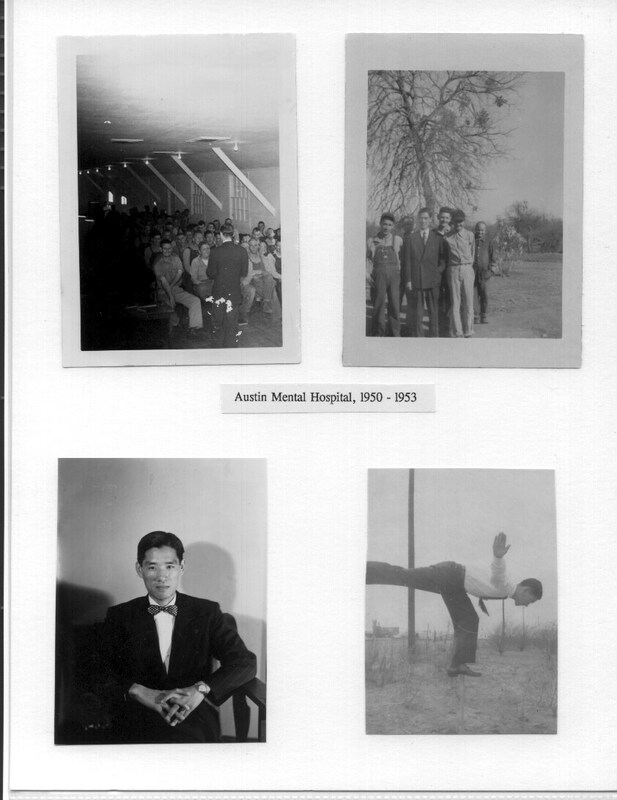 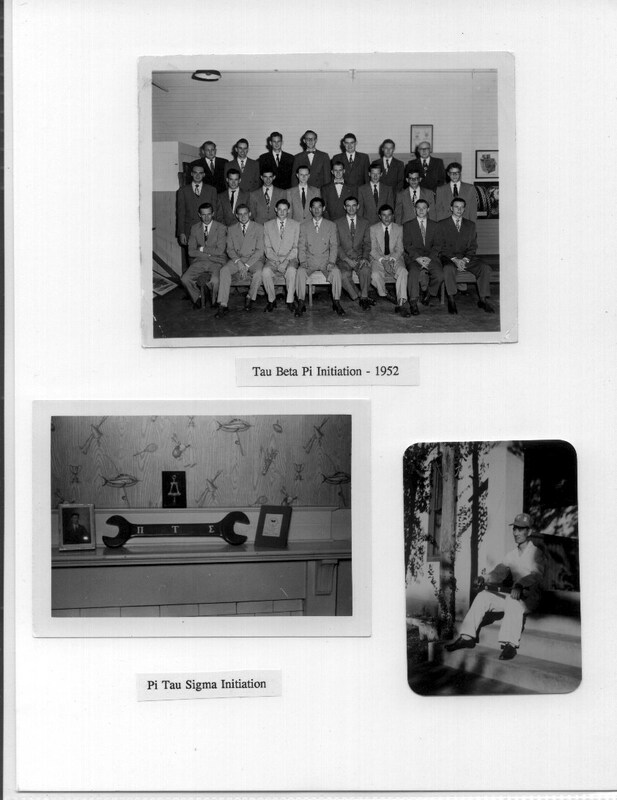 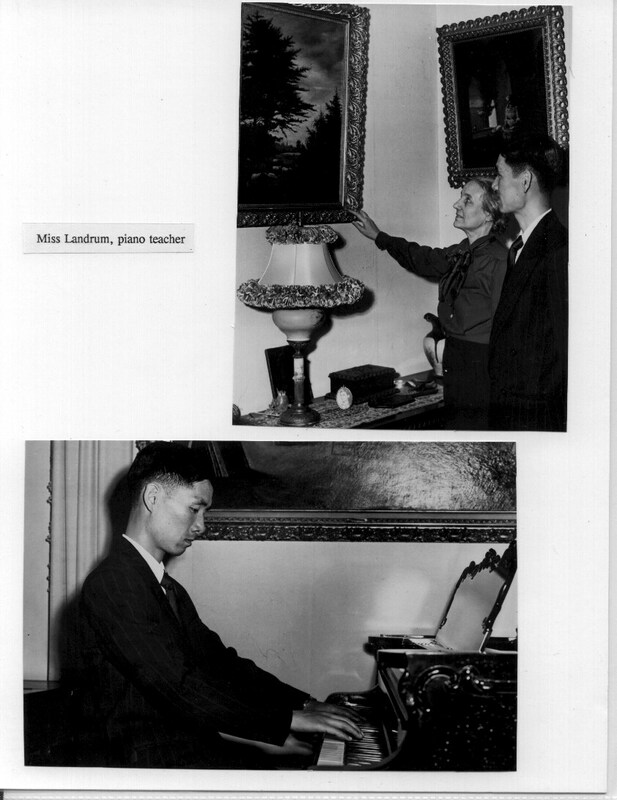 The page currently contains the following sections: information on his personal history, a photo album he put together, highlights from his memorial service, and various miscellaneous items. 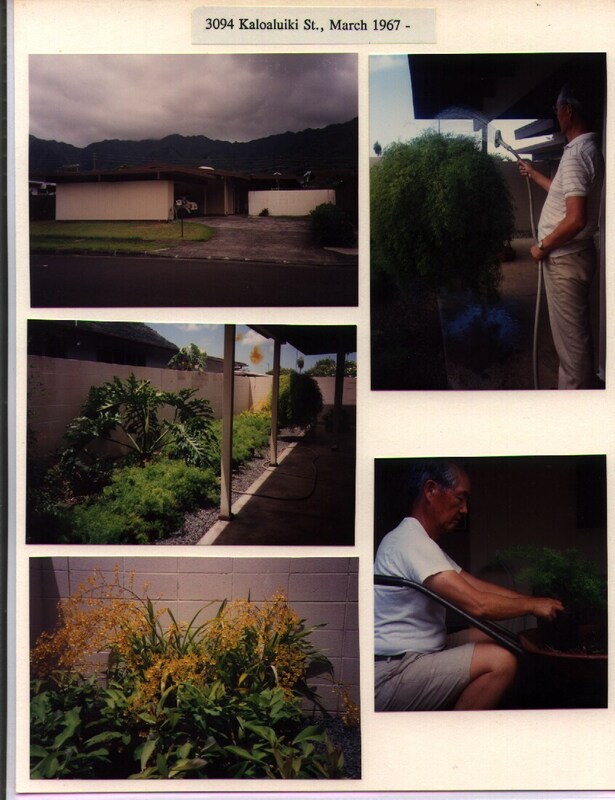 I will try to include more of photos in a later, revised version of these pages, as well as a short biography. 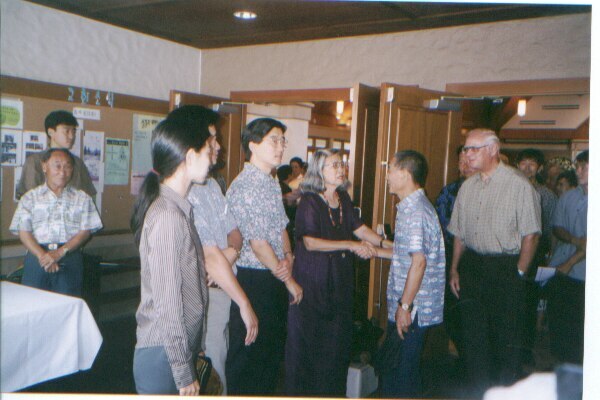 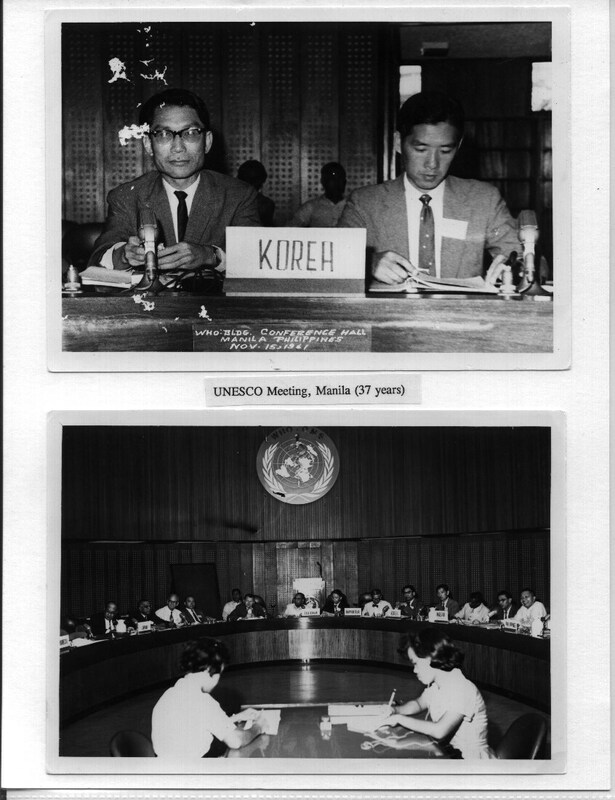 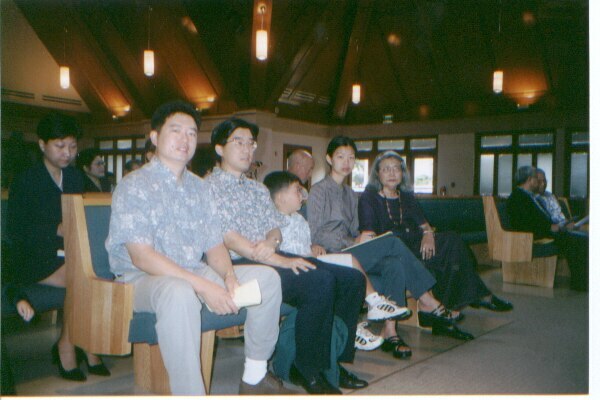 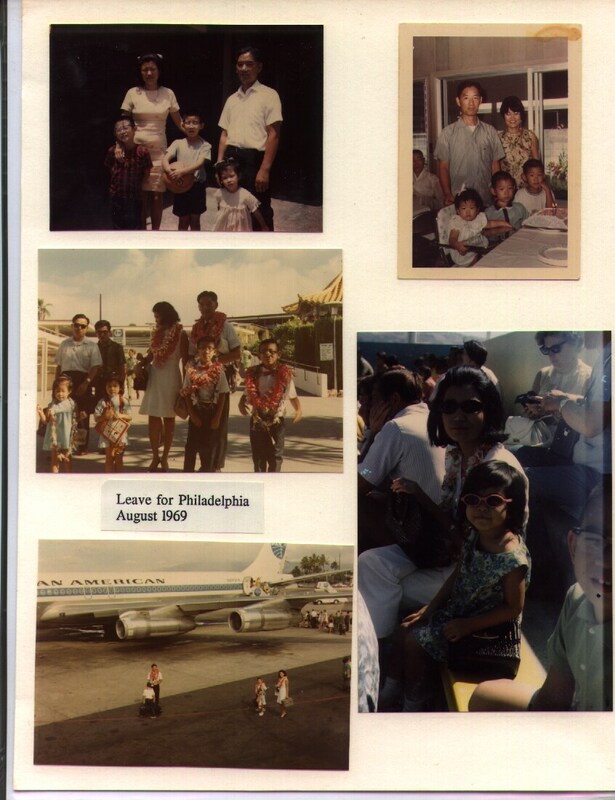 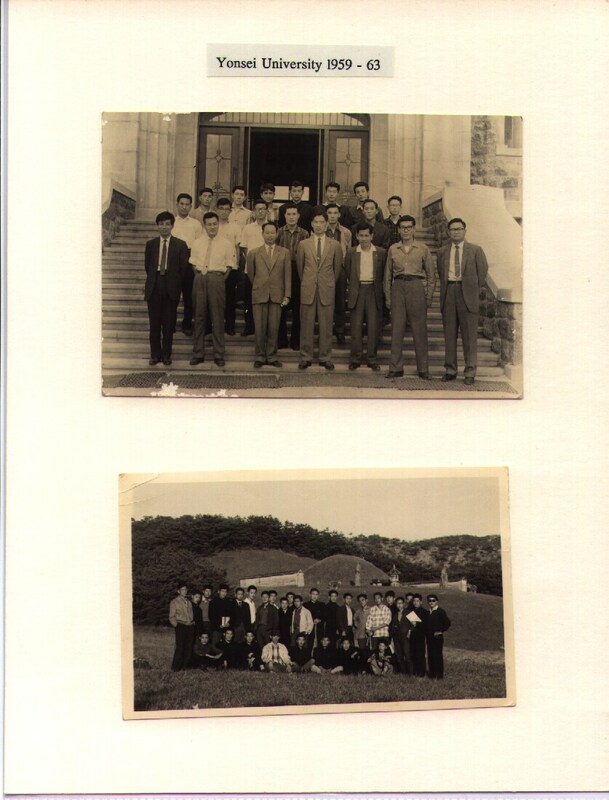 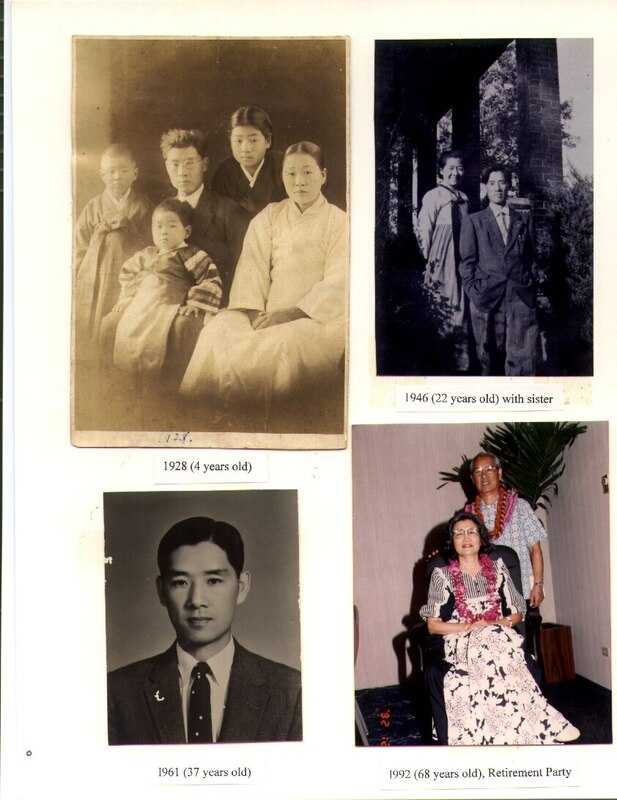 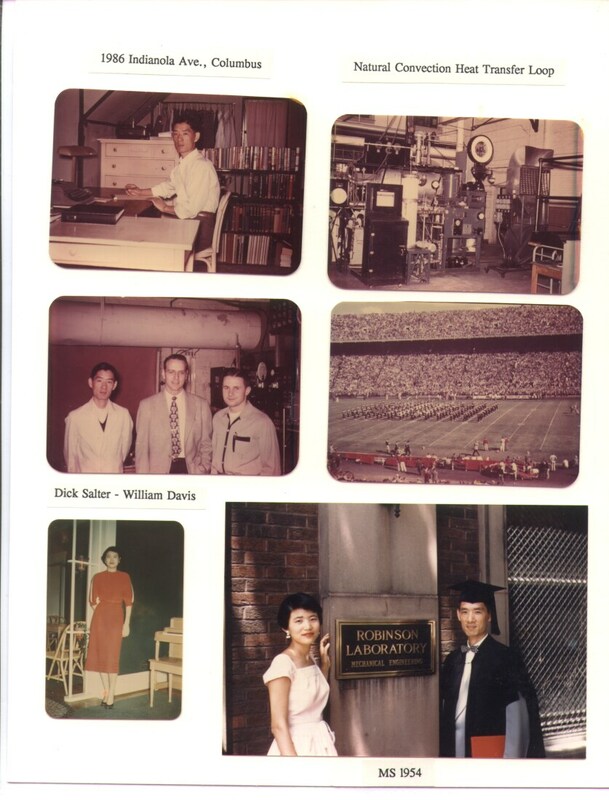 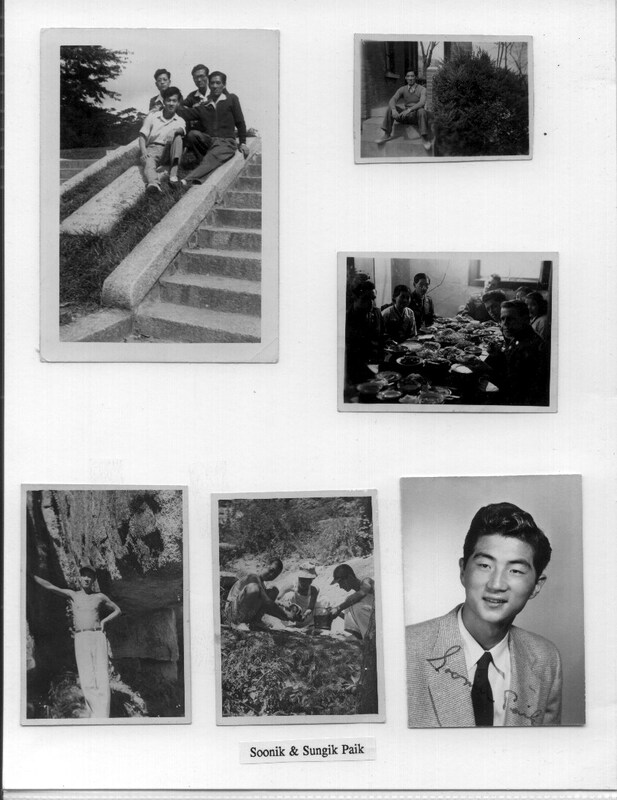 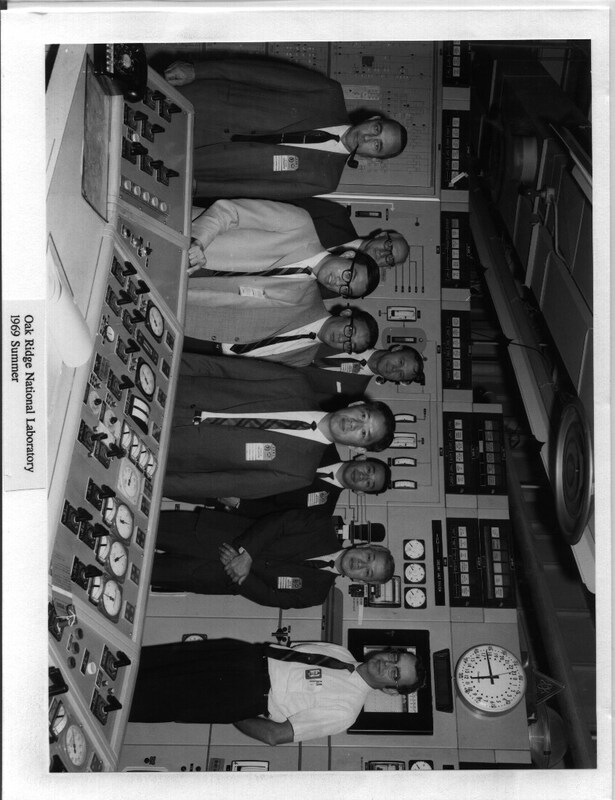 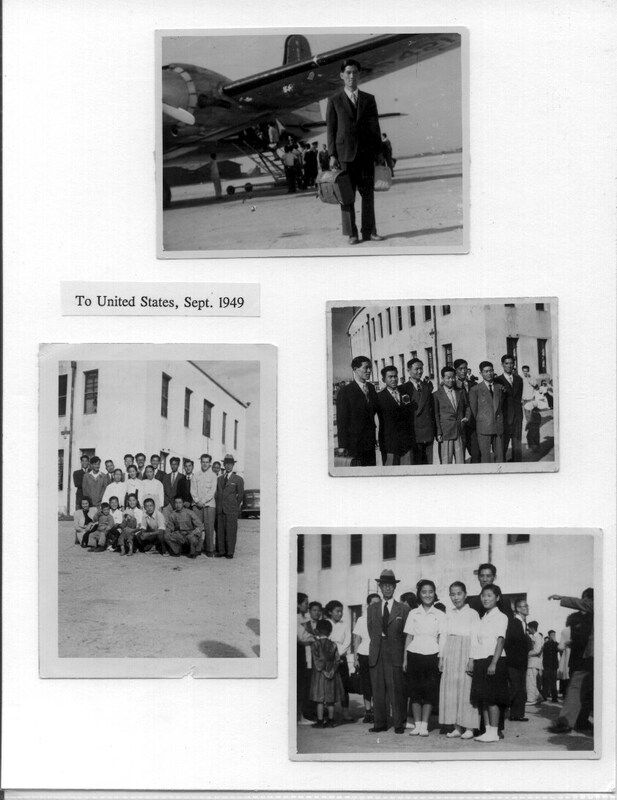 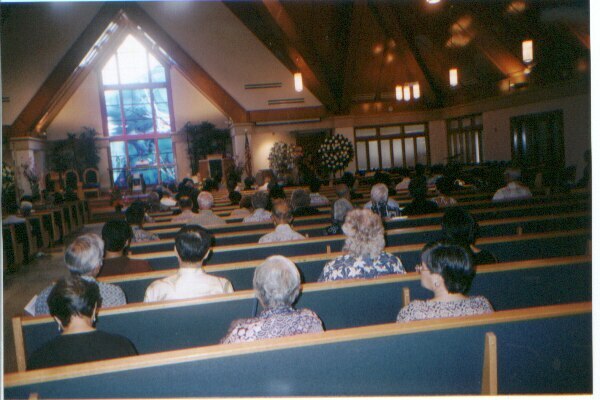 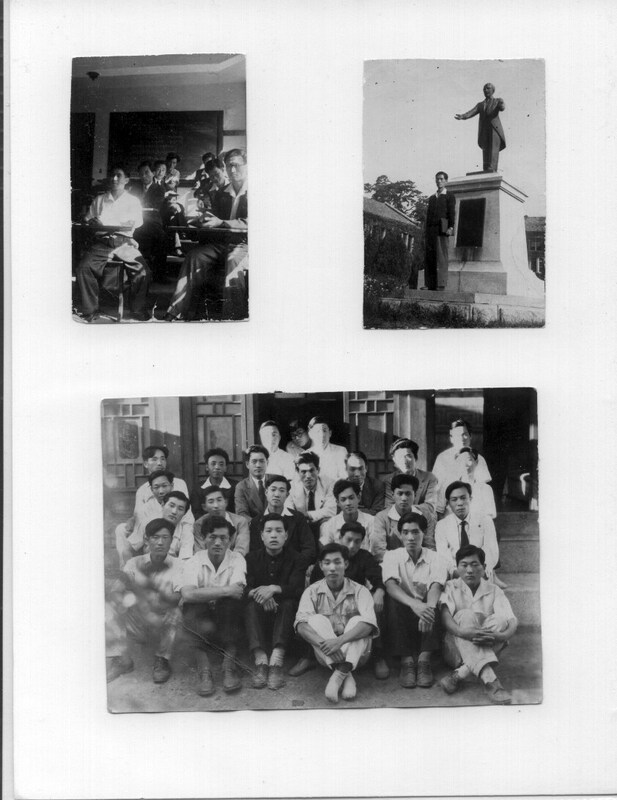 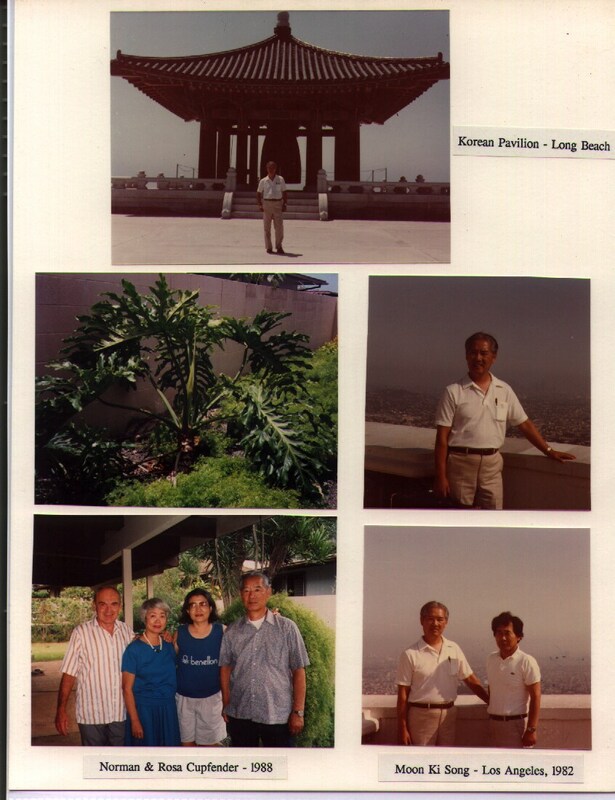 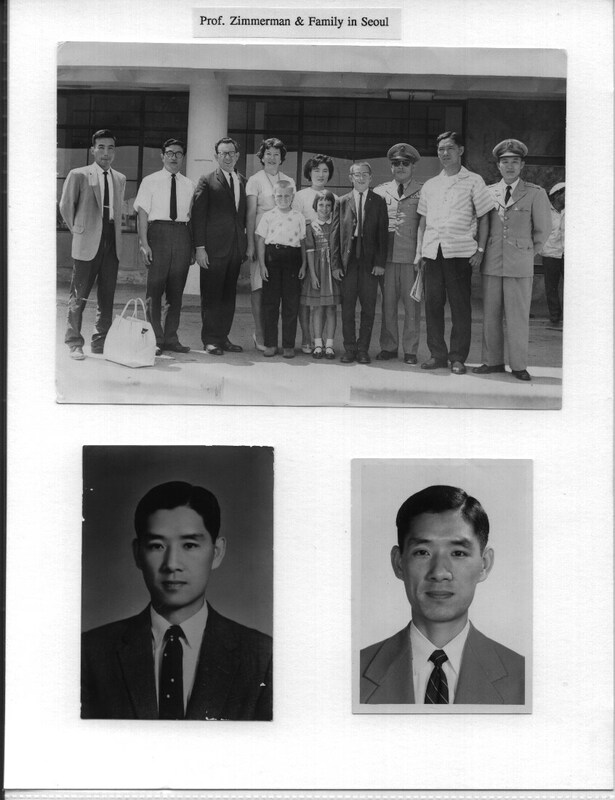 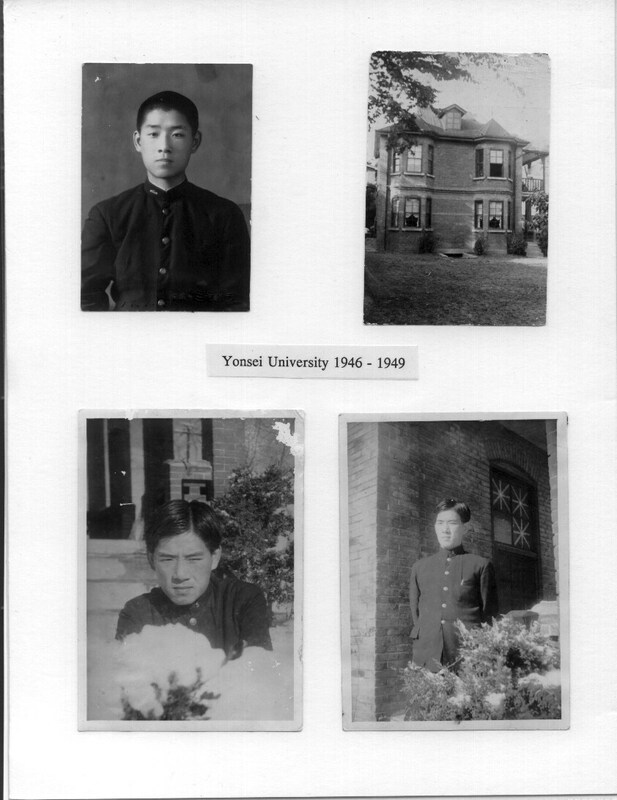 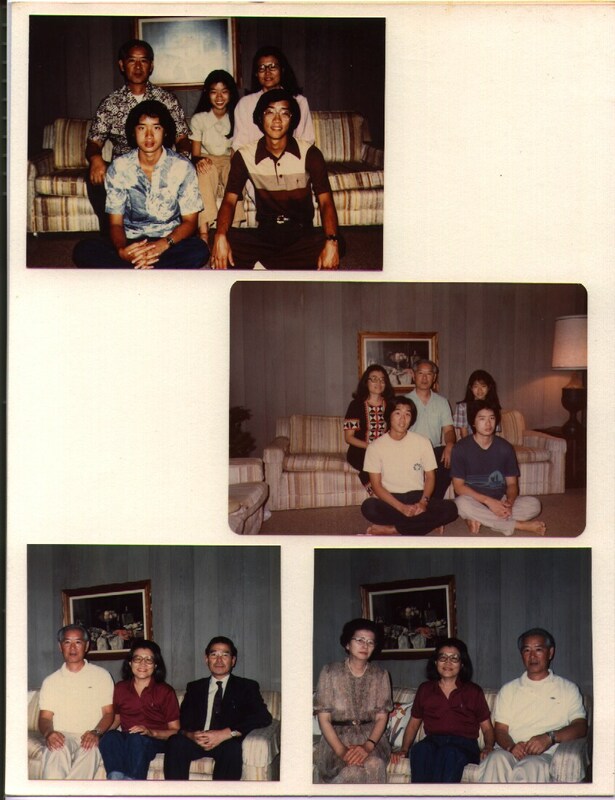 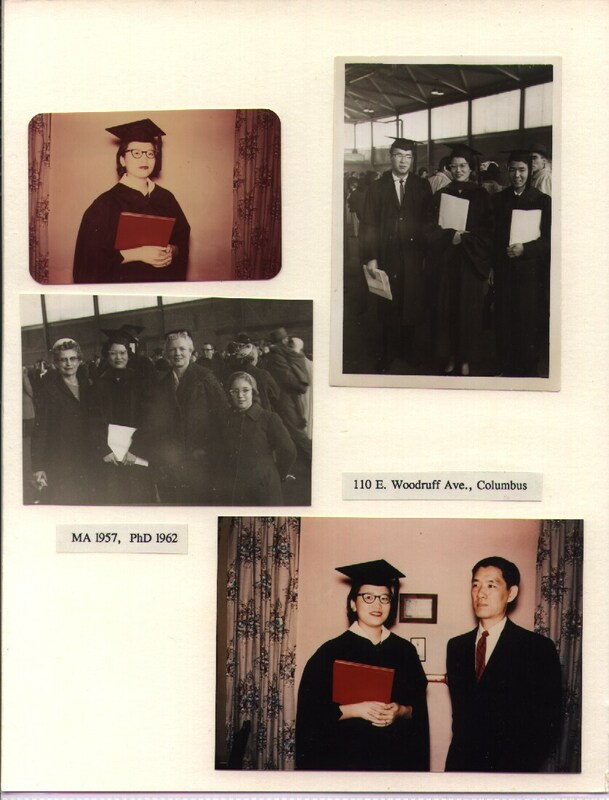 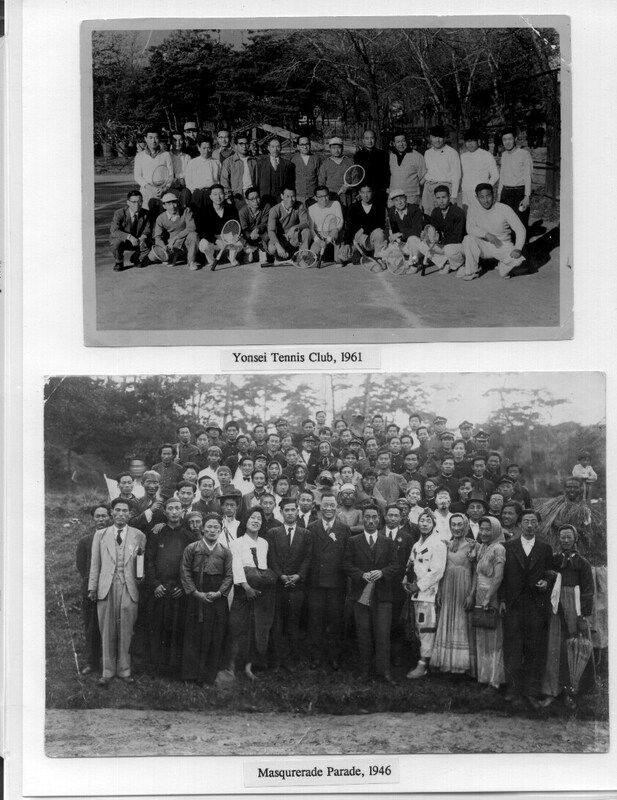 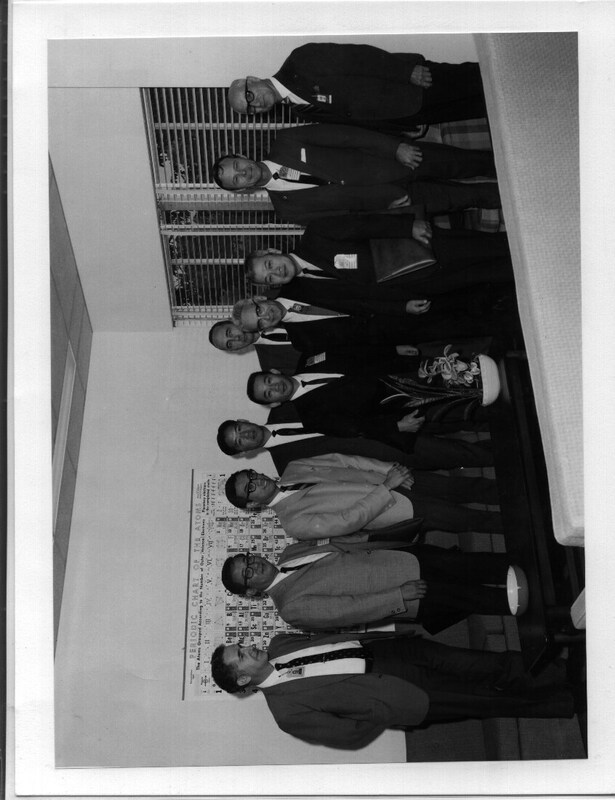 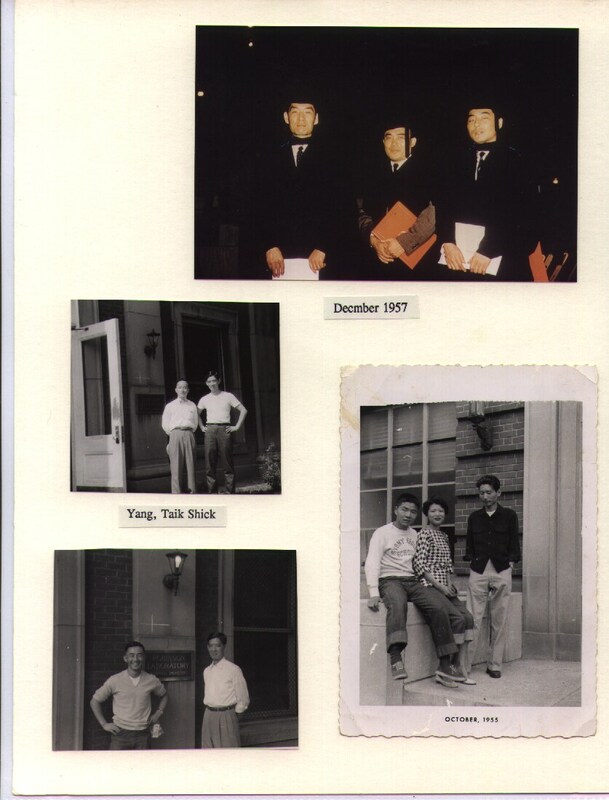 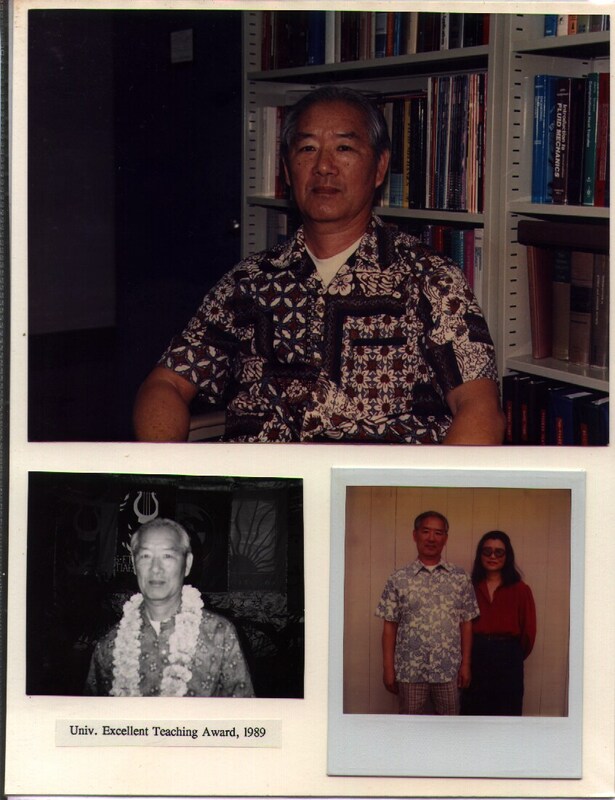 If you have personal recollections or anecdotes about my father's life, I would appreciate if you would send email to me at sunki@hawaii.edu, or write to me at the Department of Sociology, University of Hawai`i, Honolulu HI 96822, USA. 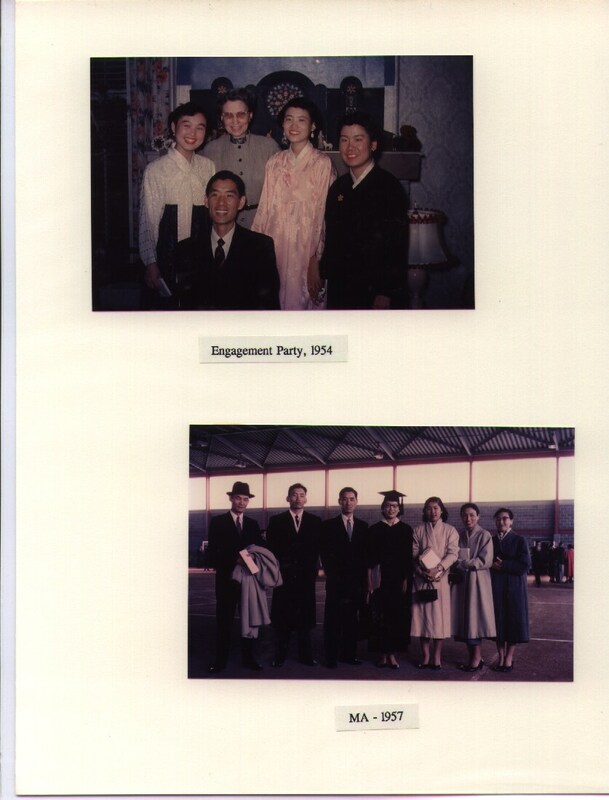 If you are willing, I will post them on this site. 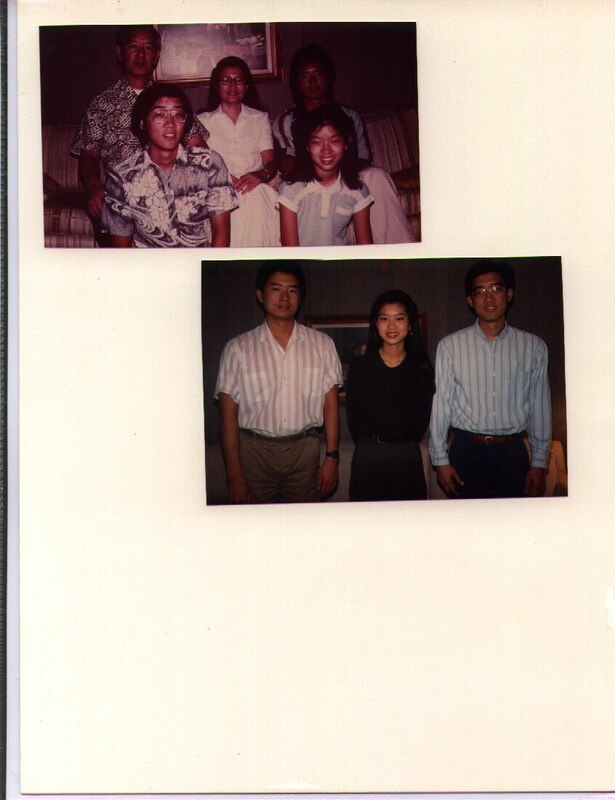 If you have additional interesting pictures of my father, I would like to see them. 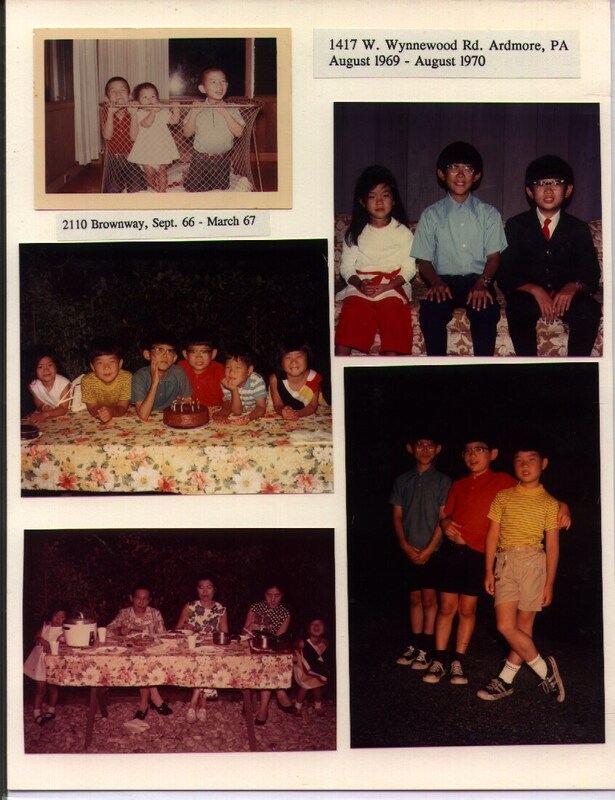 You can either scan them and email or send them to me by regular mail (I will make copies and send them back to you). 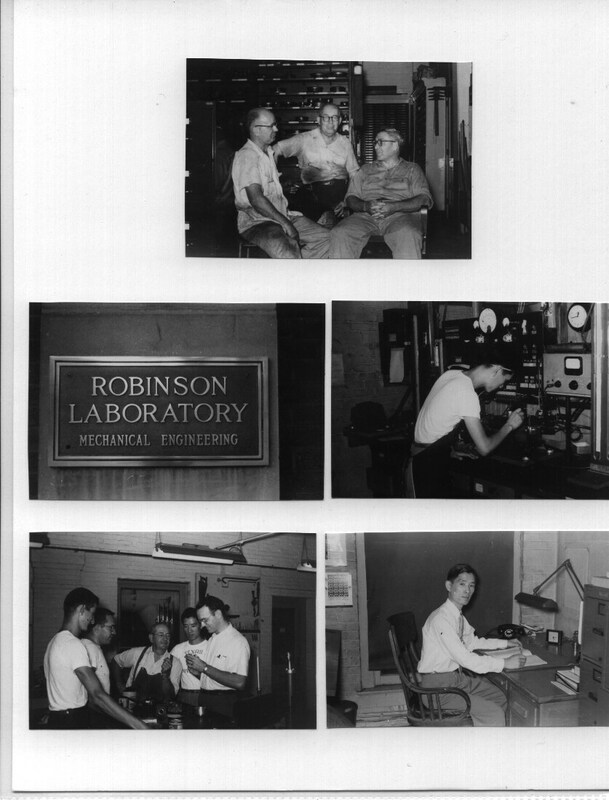 Thanks to the UH College of Engineering for much of the information on his later career. 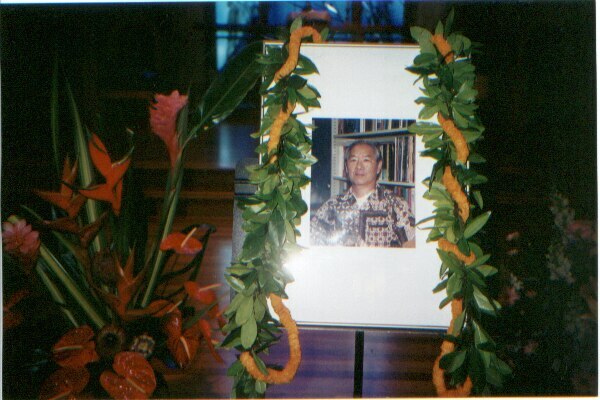 The University of Hawai`i school newspaper ran side- by-side obituaries of my father, as well as his close friend and colleague, Dr. Deane Kihara, who ironically and tragically passed away on the same day. 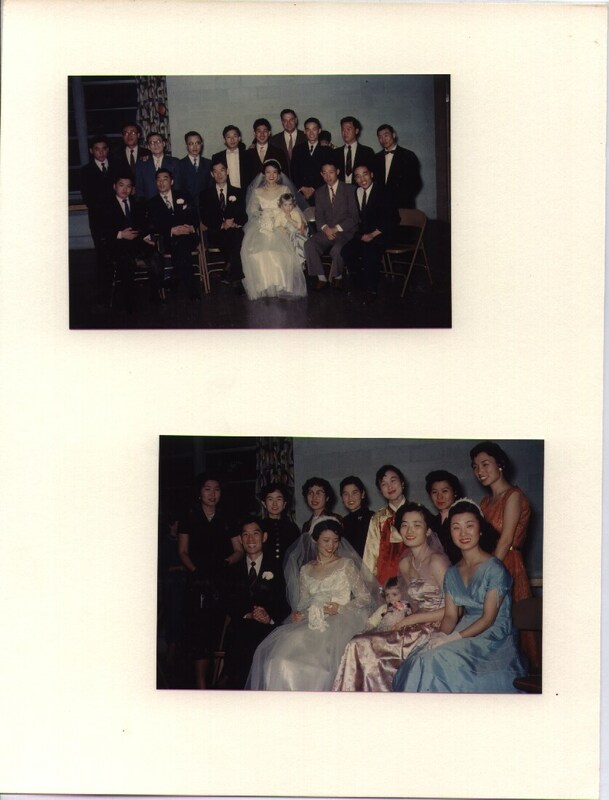 Thanks again to everyone who attended and/or helped out with the preparations! 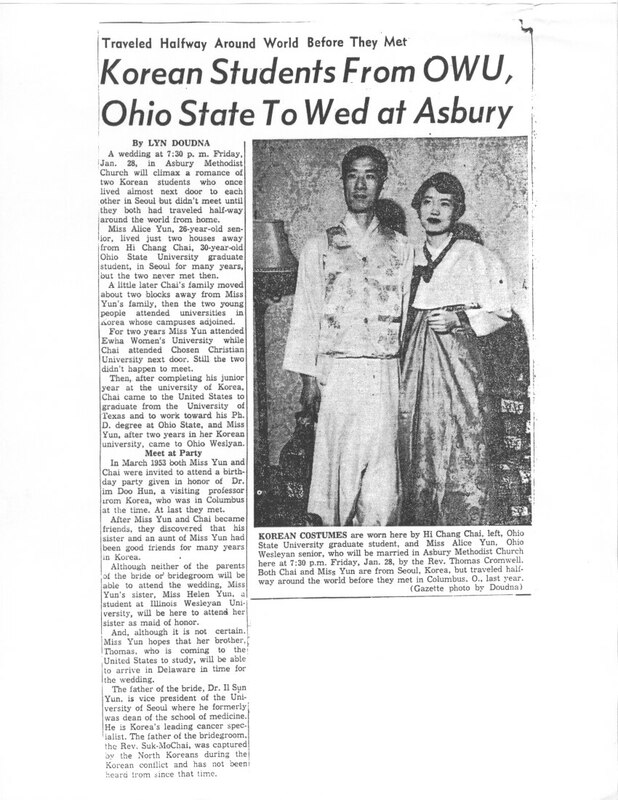 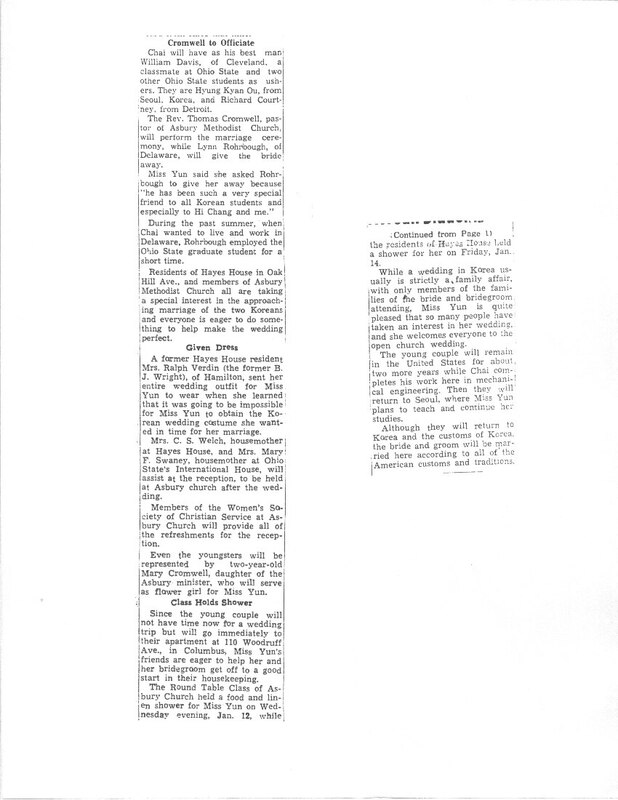 When my parents were married in Delaware, Ohio in January 1955, it was covered by the local paper, the Delaware Gazette. 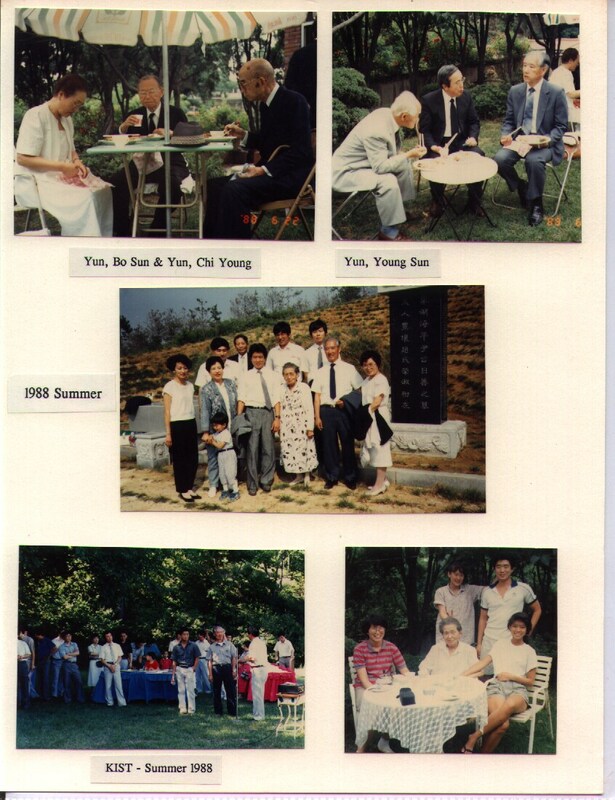 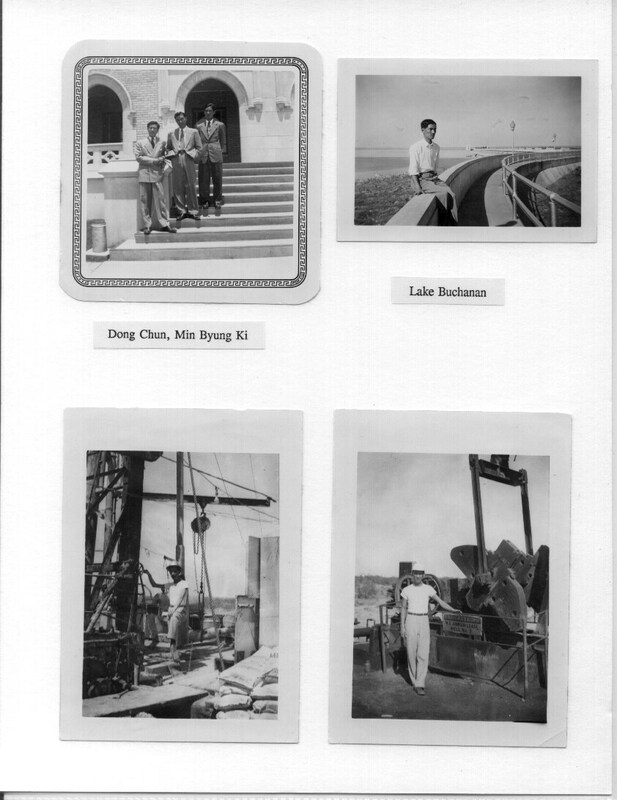 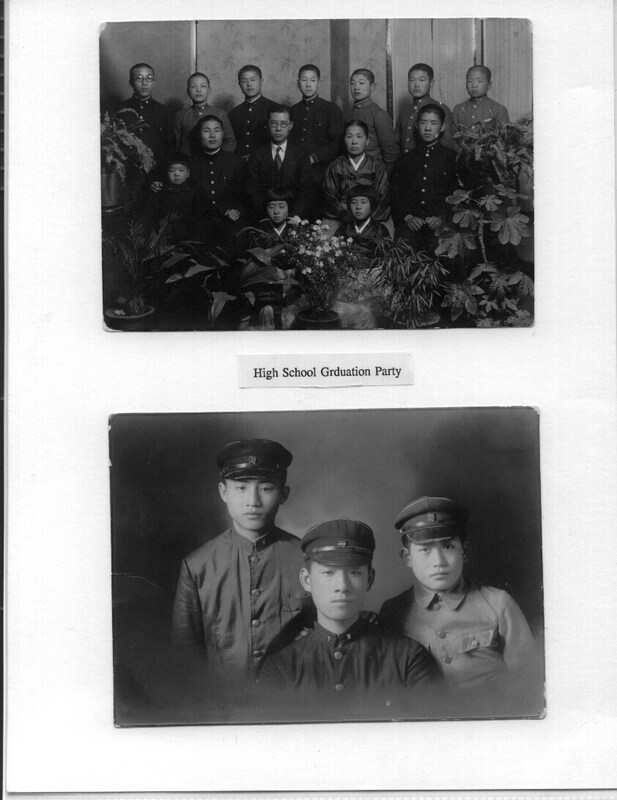 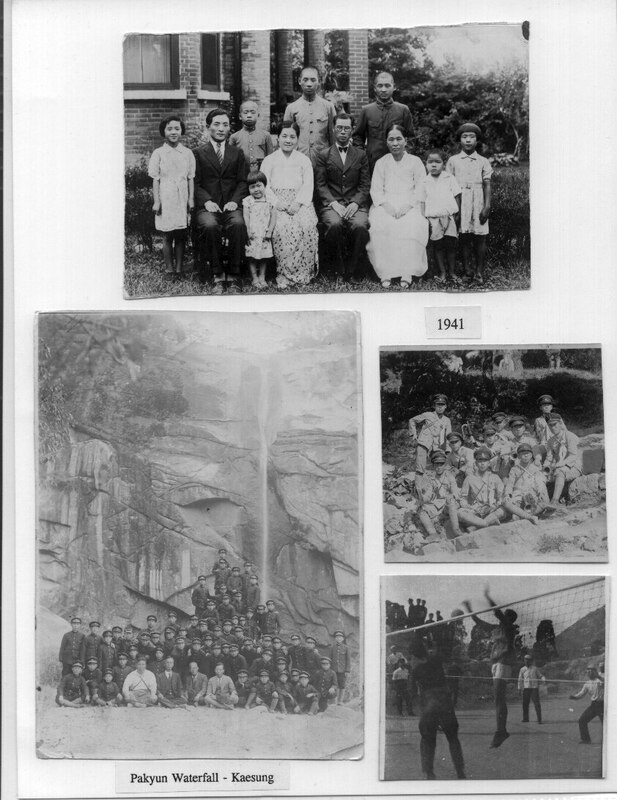 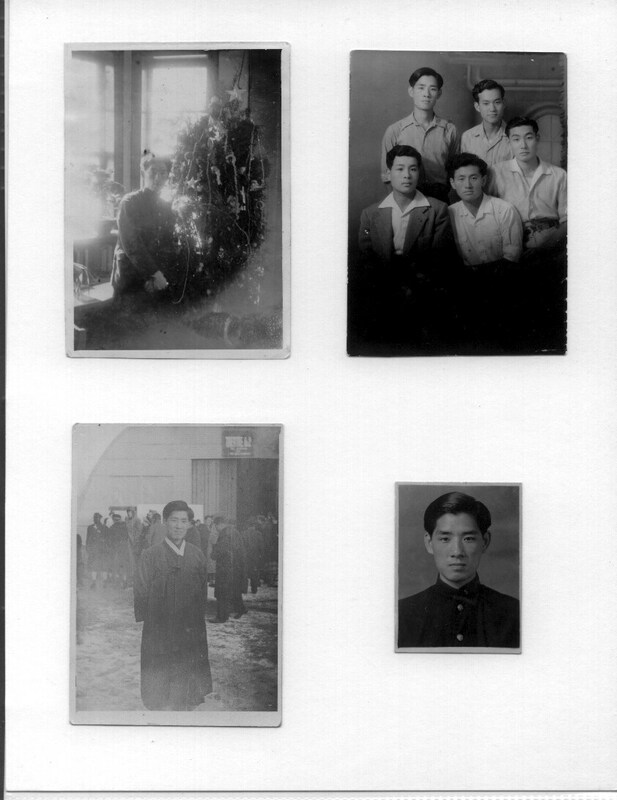 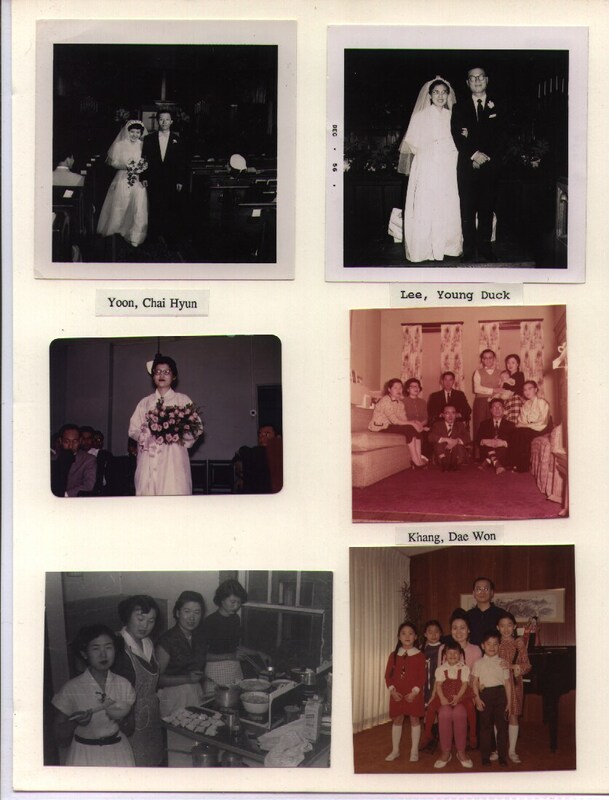 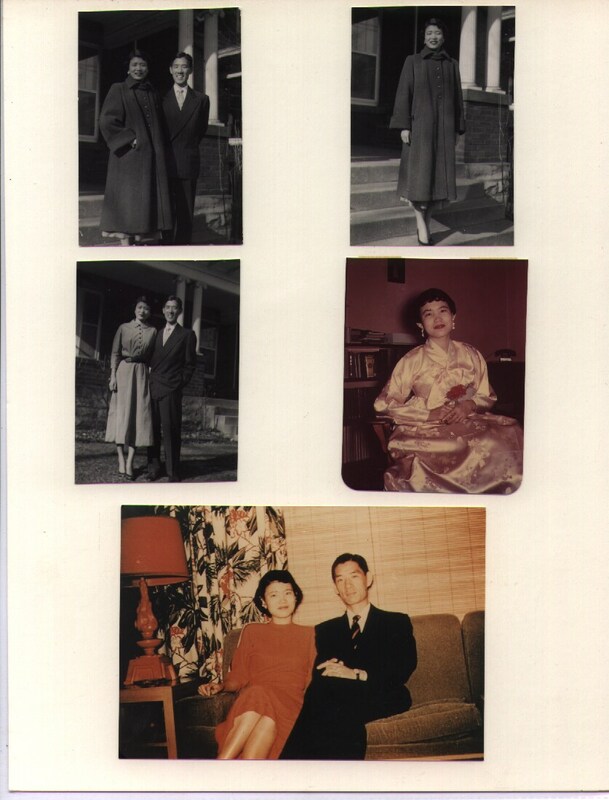 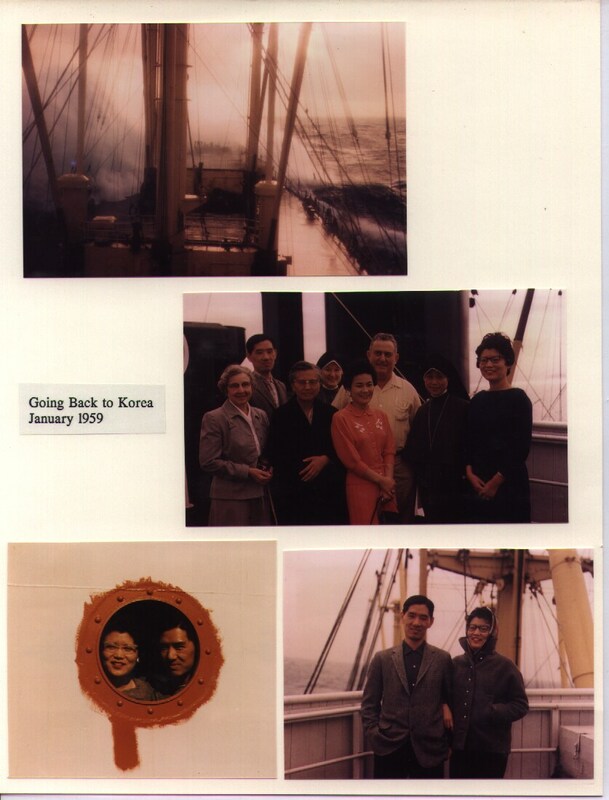 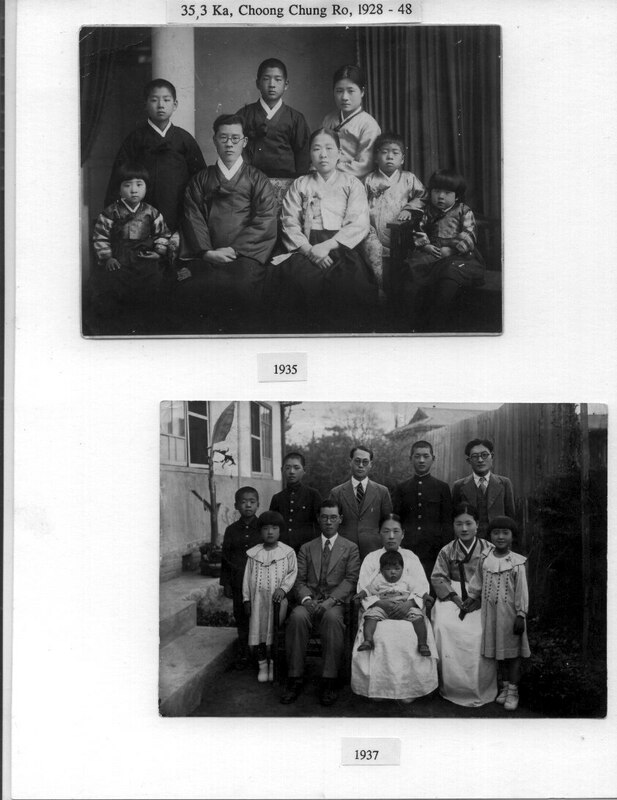 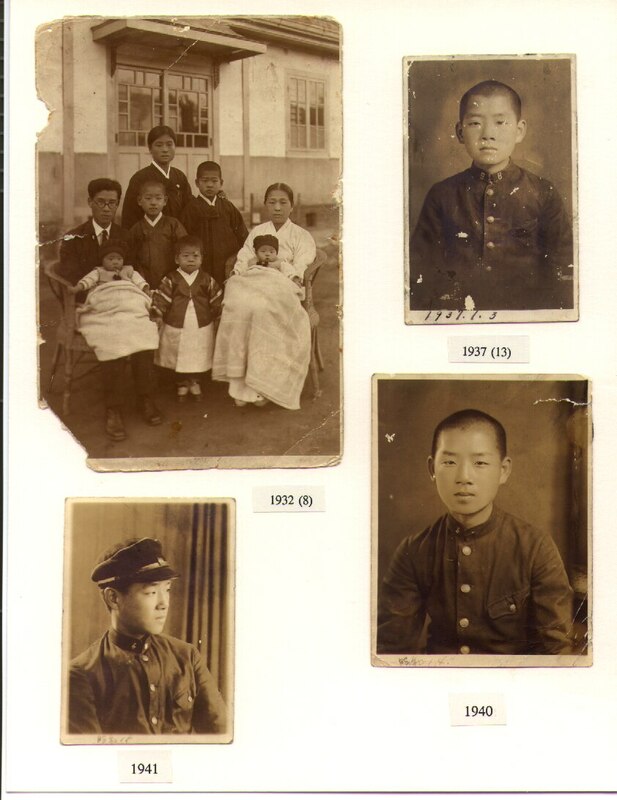 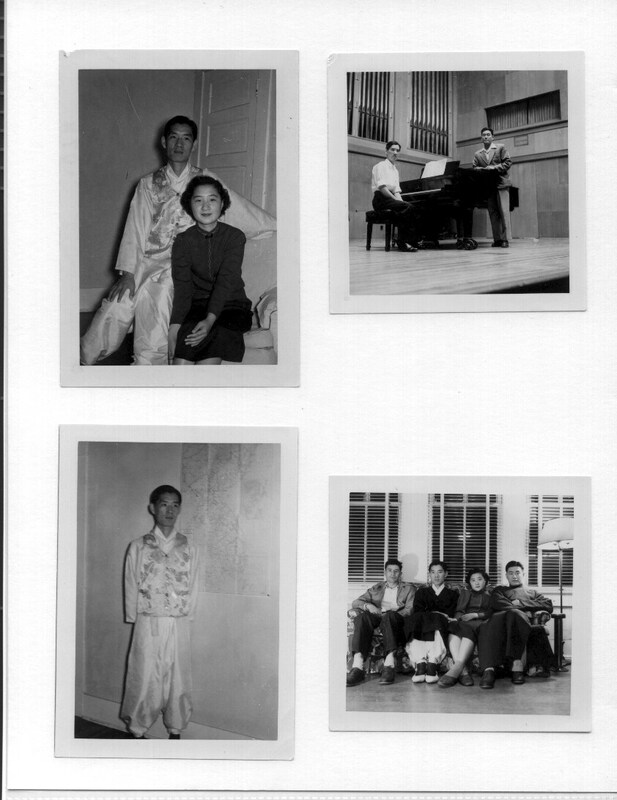 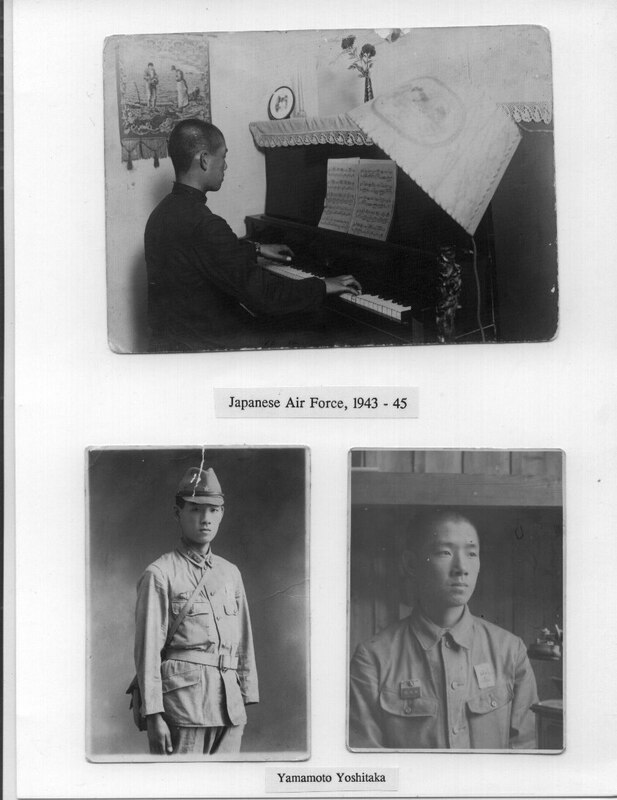 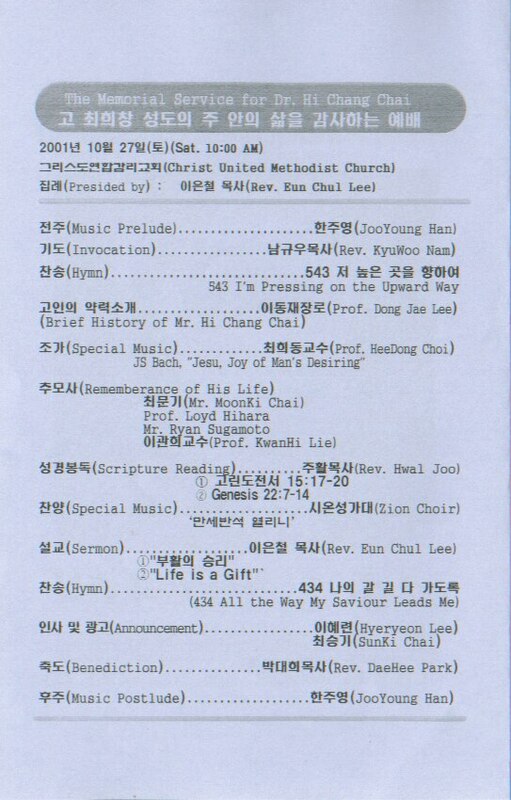 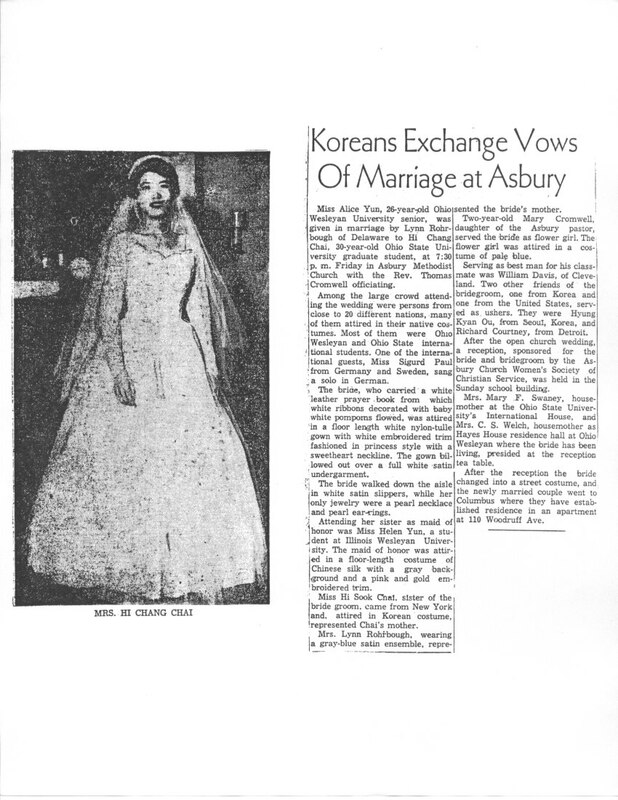 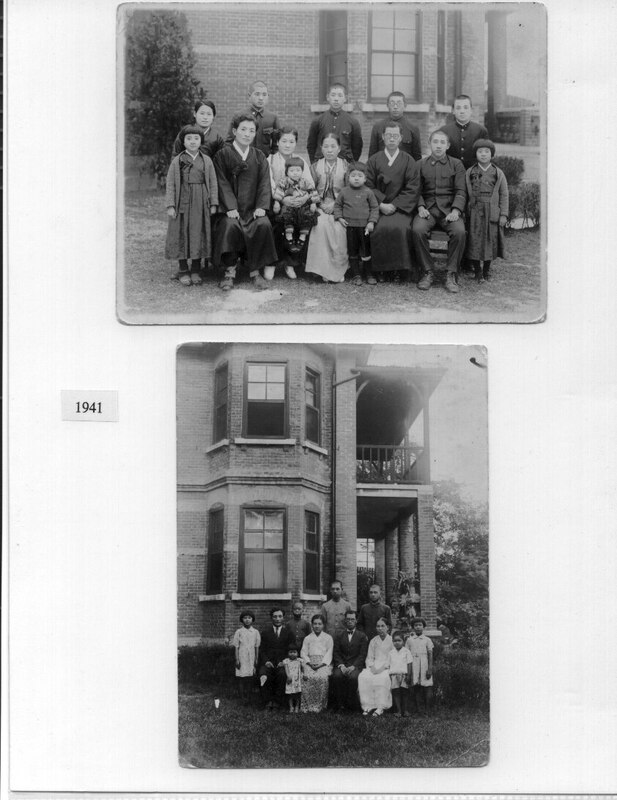 The articles include nice pictures of my parents in traditional Korean costume and of my mother in her wedding dress. 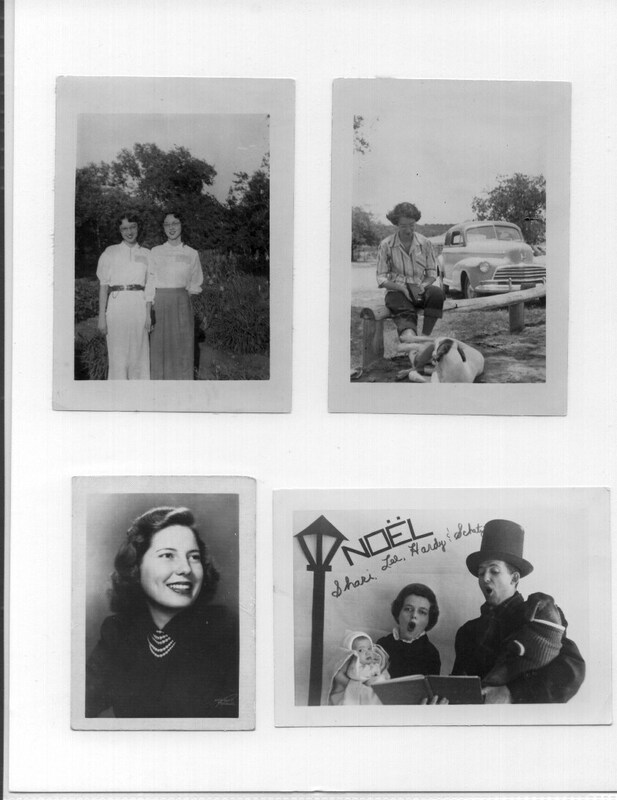 Click below to see them. 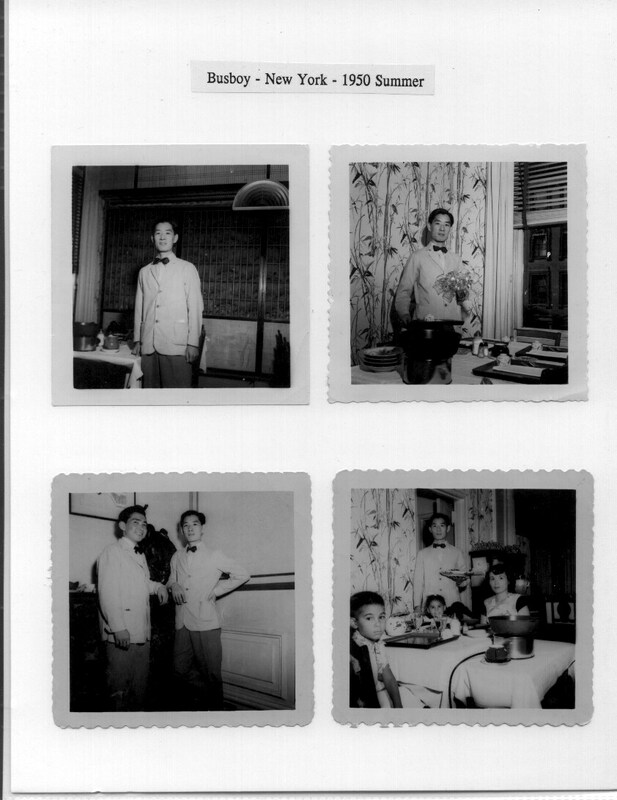 My father was famous for his cooking ability. 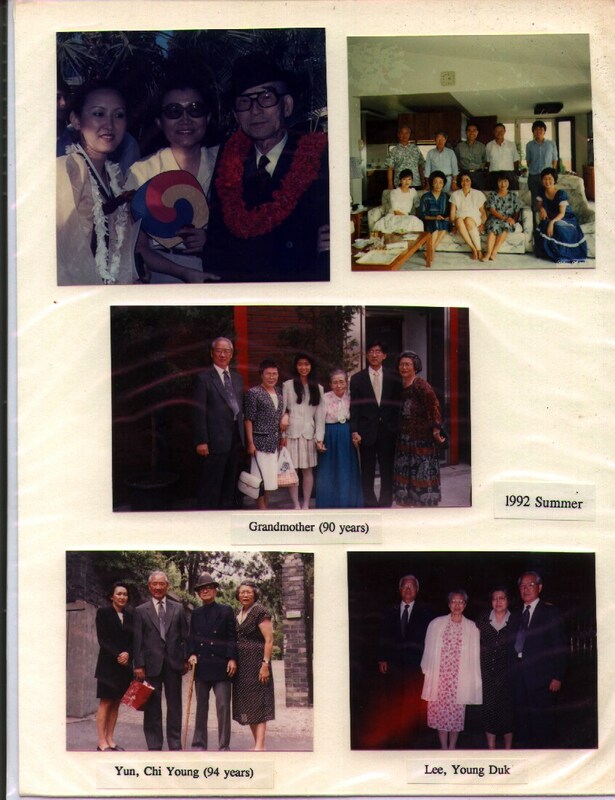 In particular, many people asked him for his kim chee recipe. 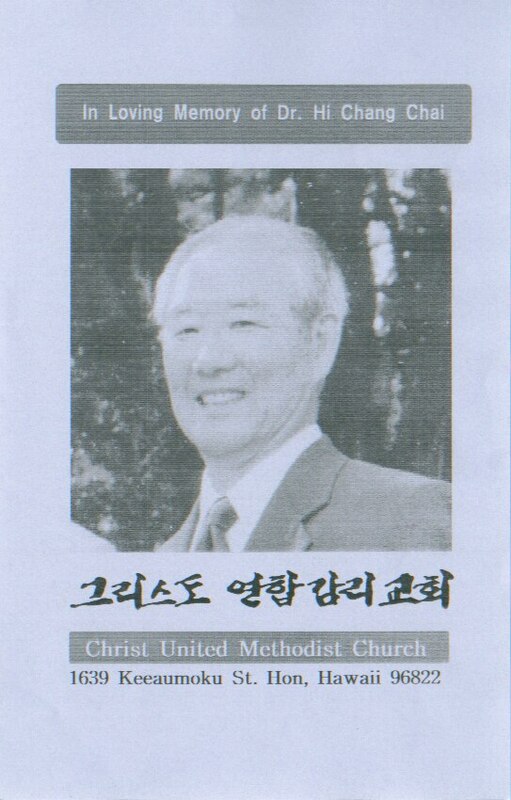 Feel free to try it out. 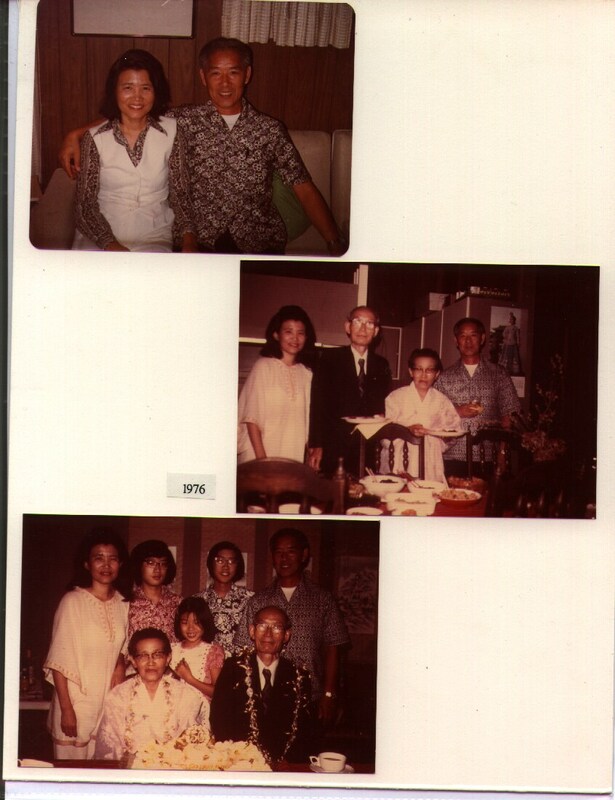 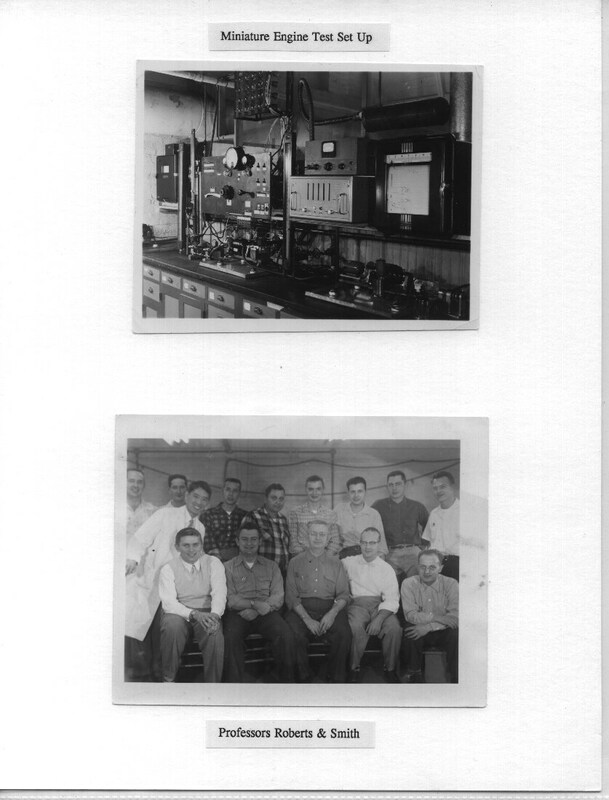 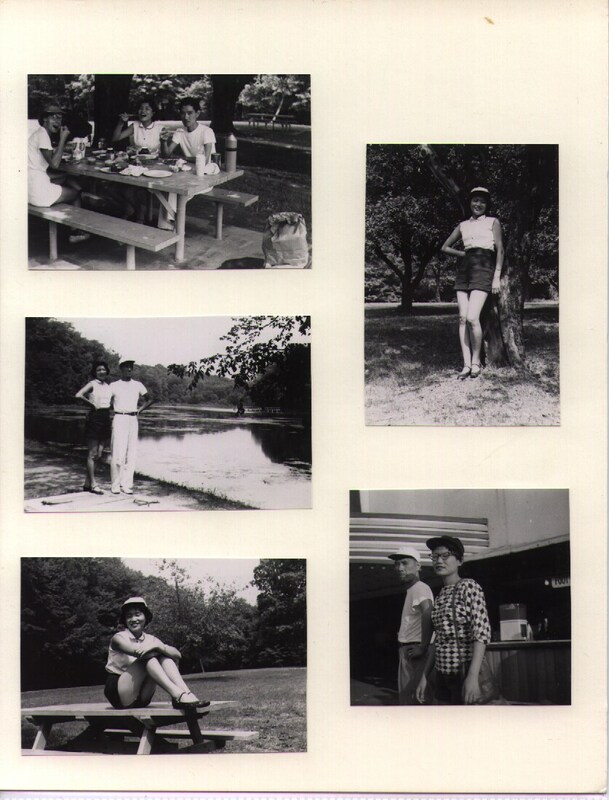 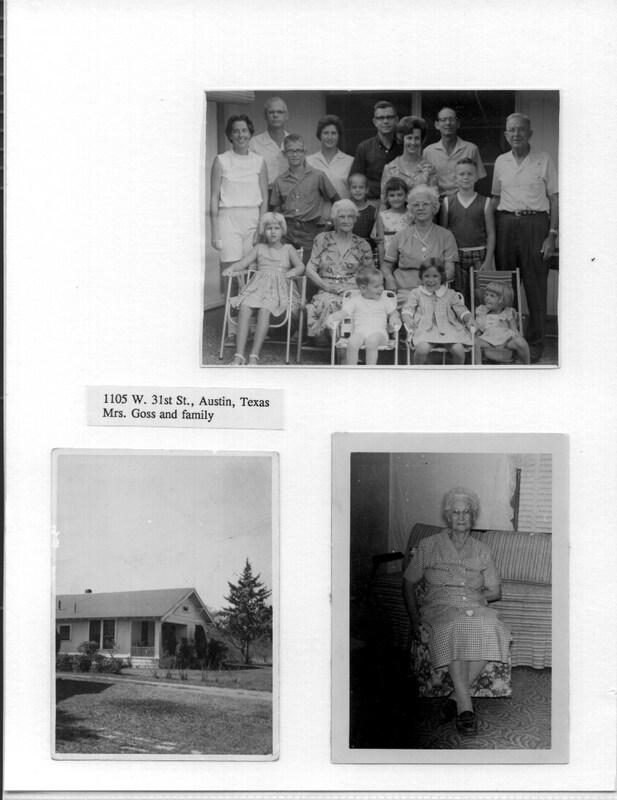 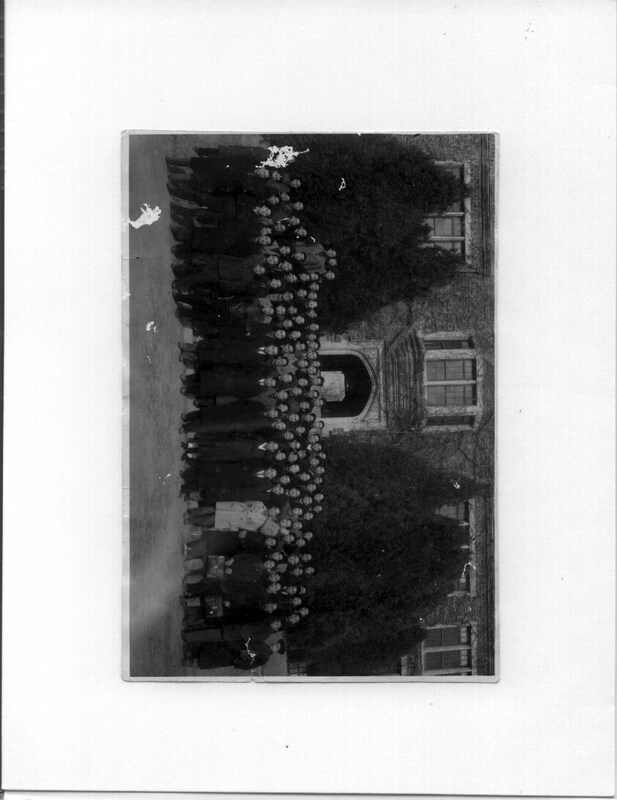 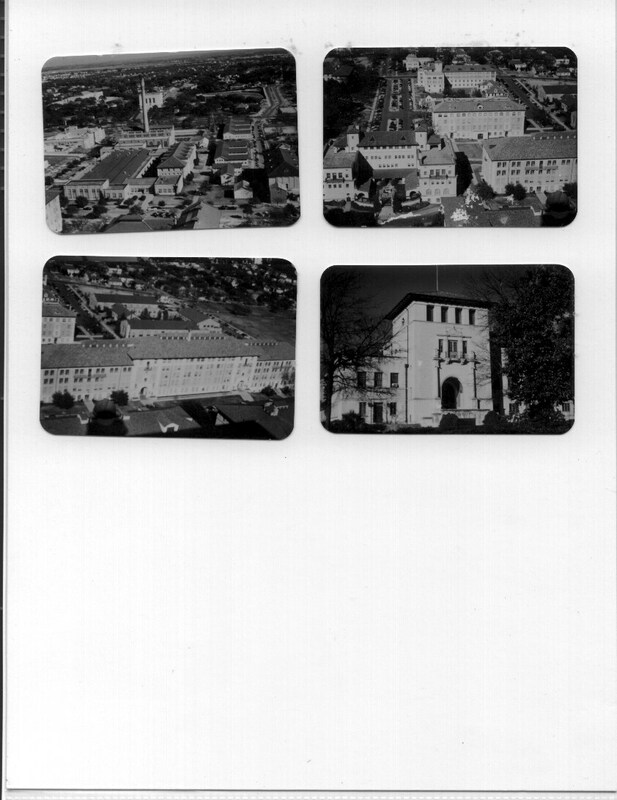 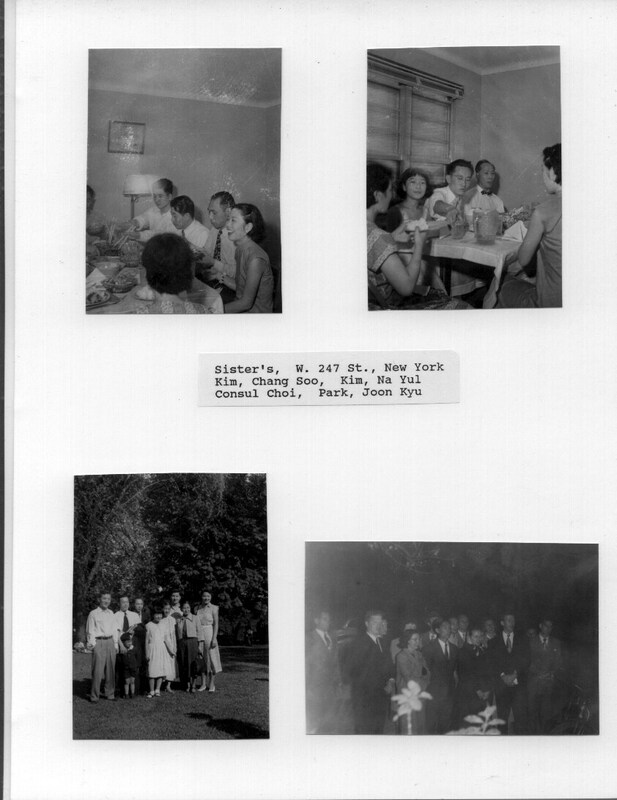 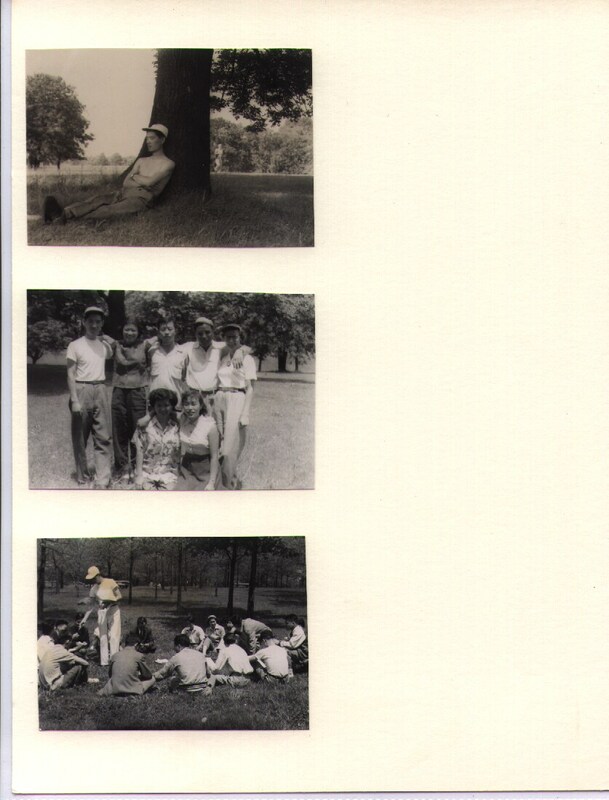 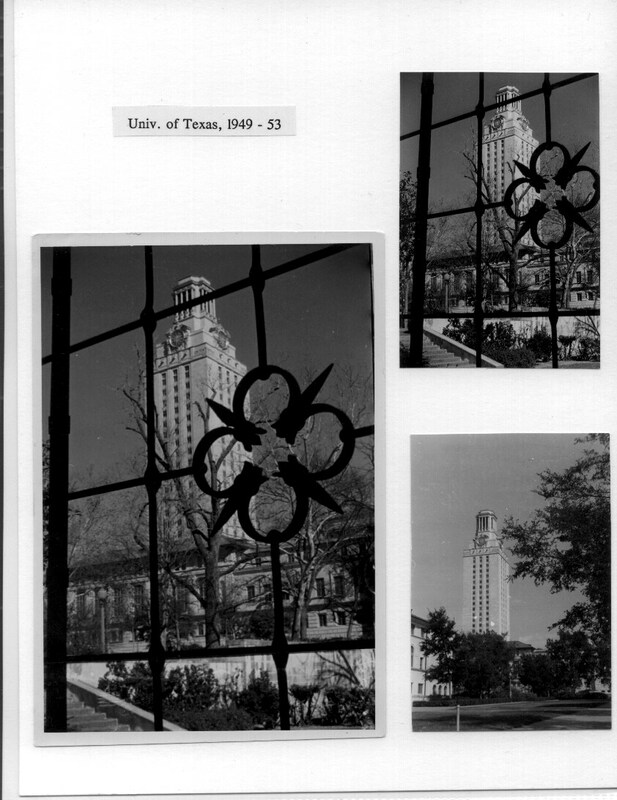 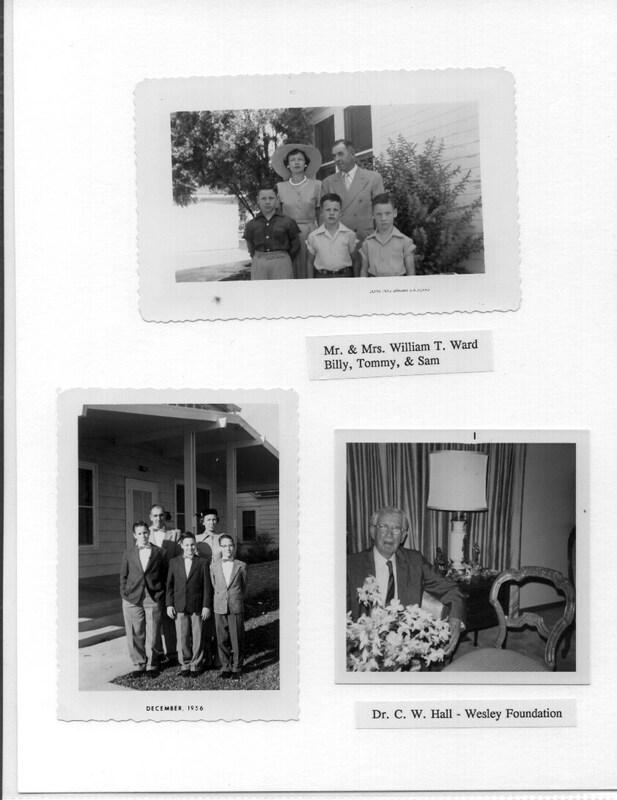 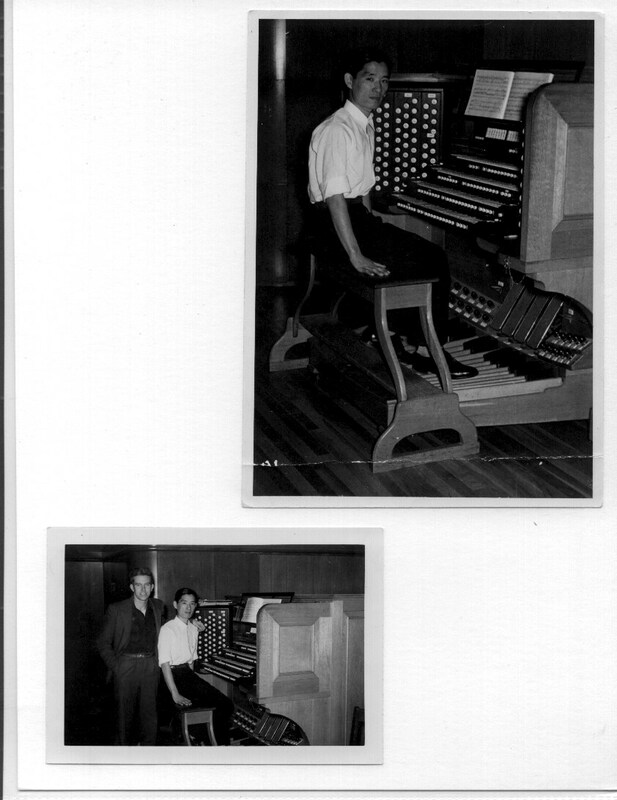 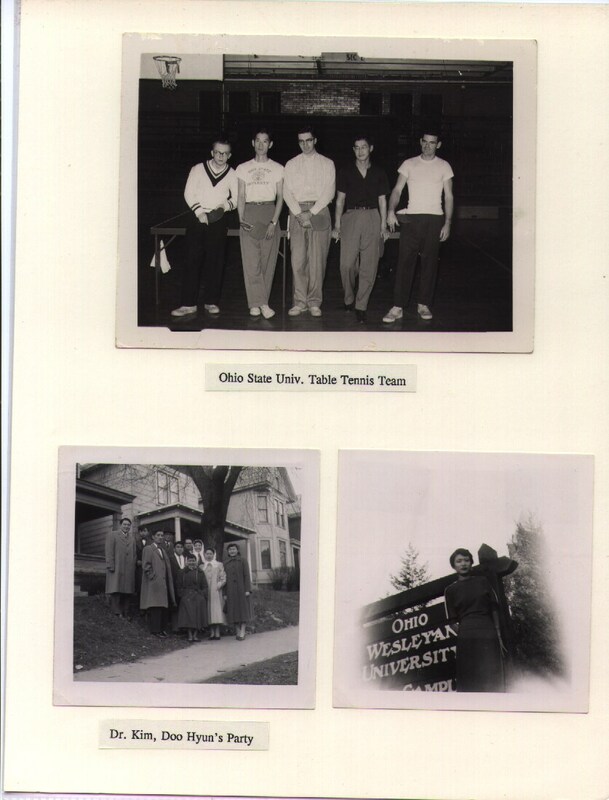 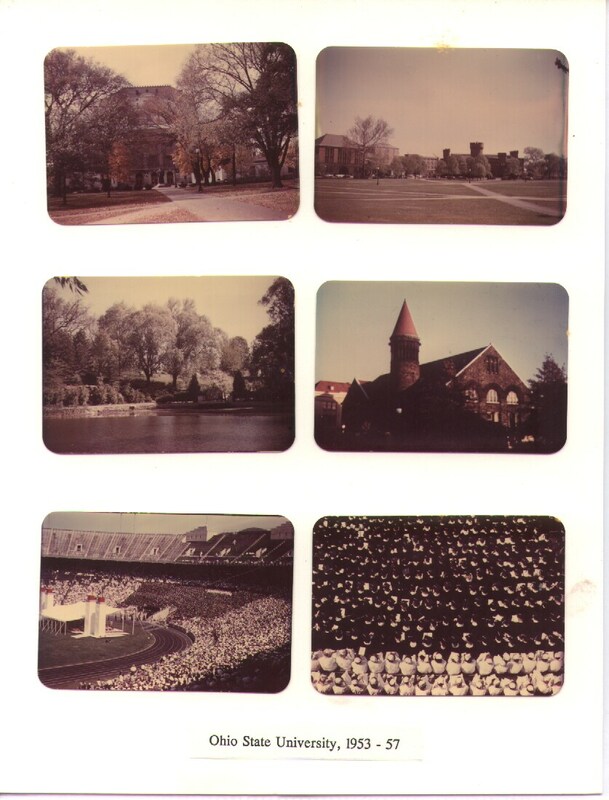 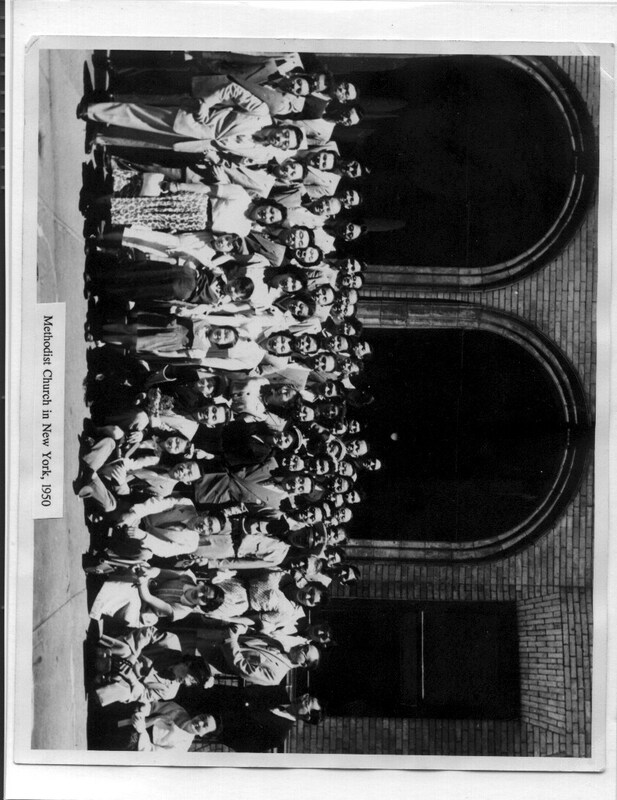 Here are links to scanned pages from the photo album that my father put together a few years ago. 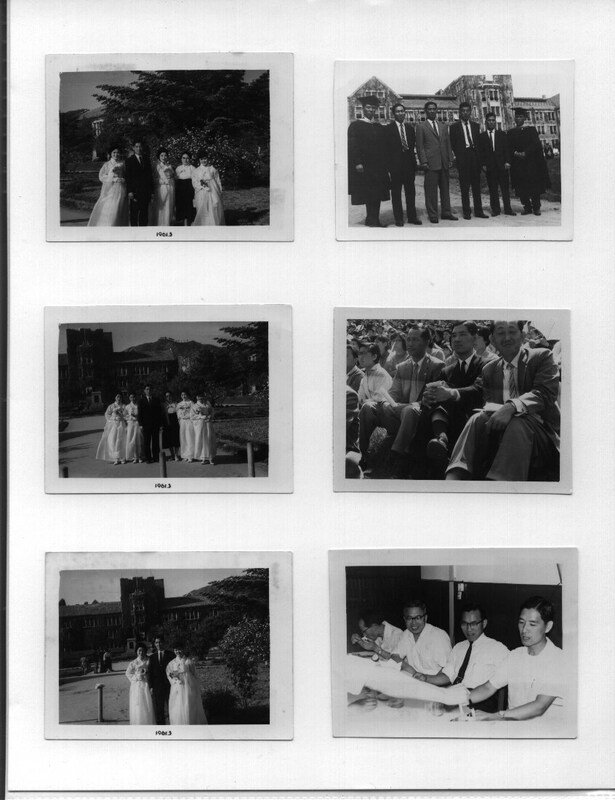 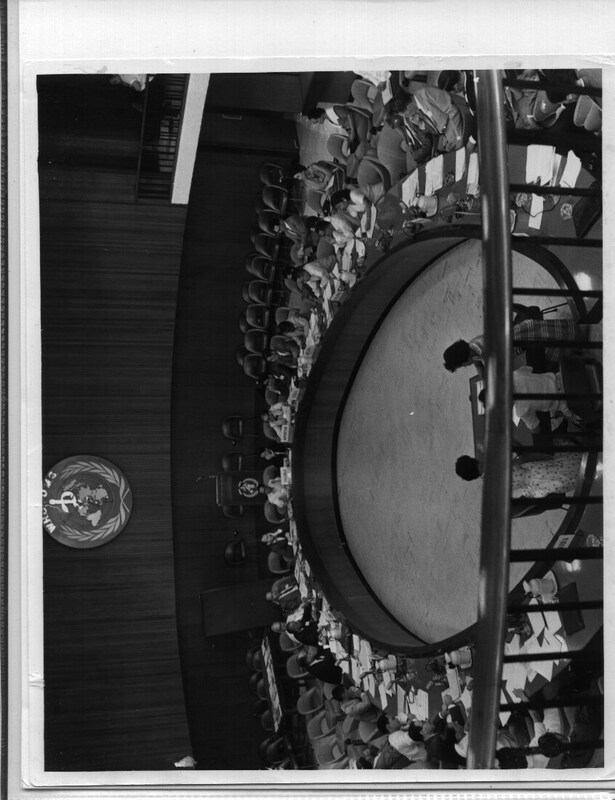 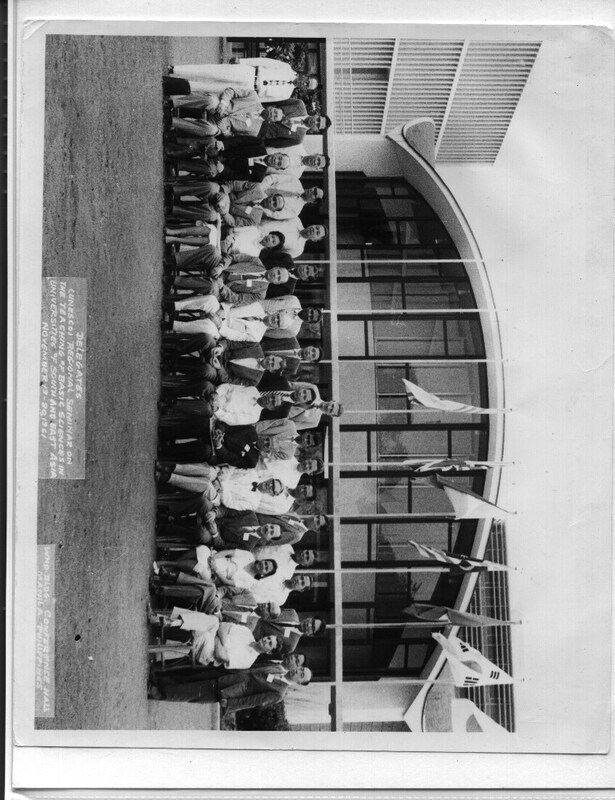 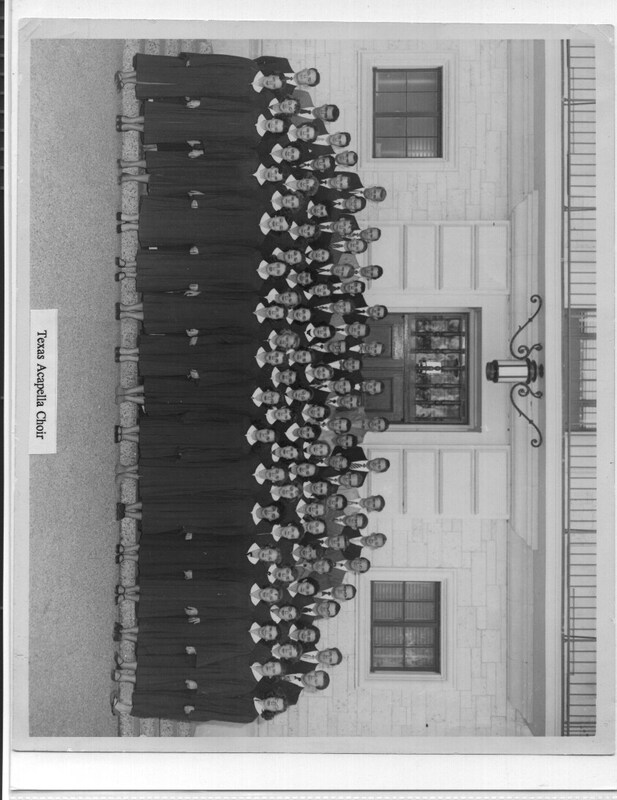 It is in rough chronological order, with captions under many of the photographs. 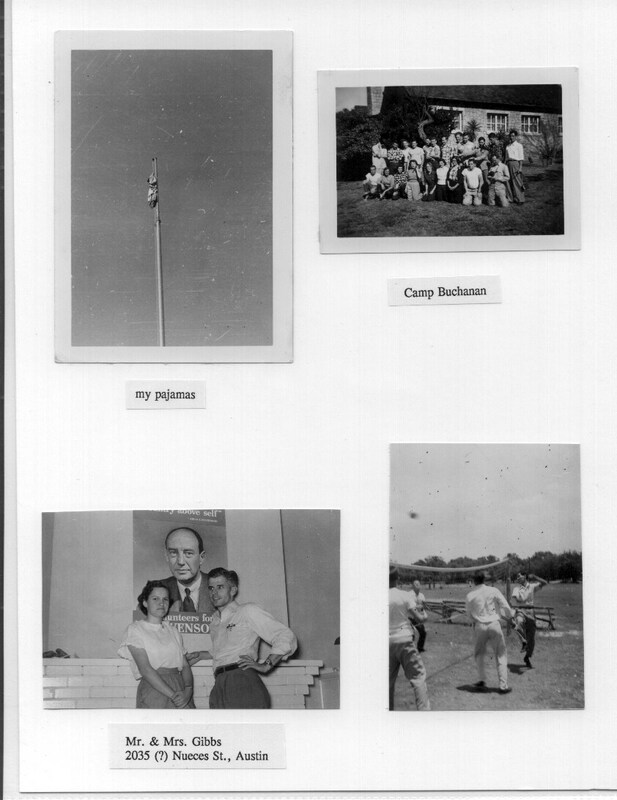 I have relied primarily on these captions for the text on the links below. 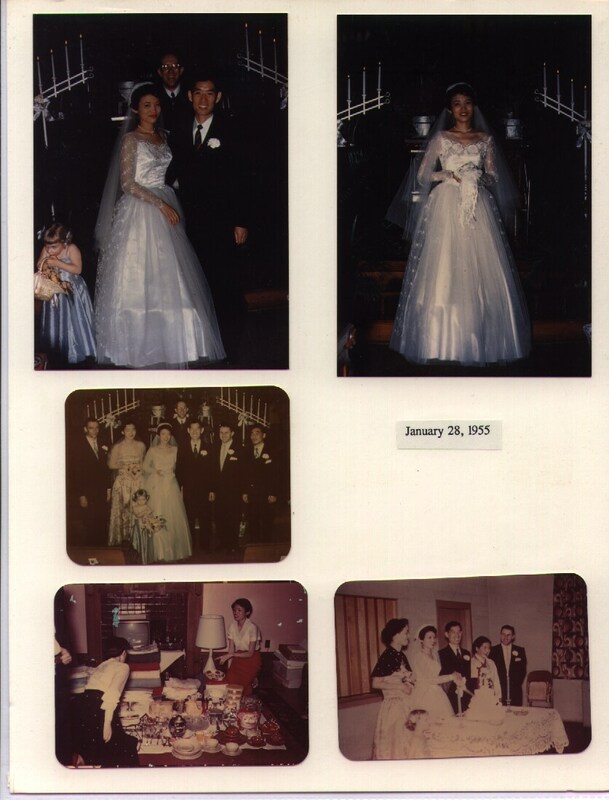 You may notice that there are more old pictures than recent ones; this is because my father had not yet organized the more recent pictures into an album. 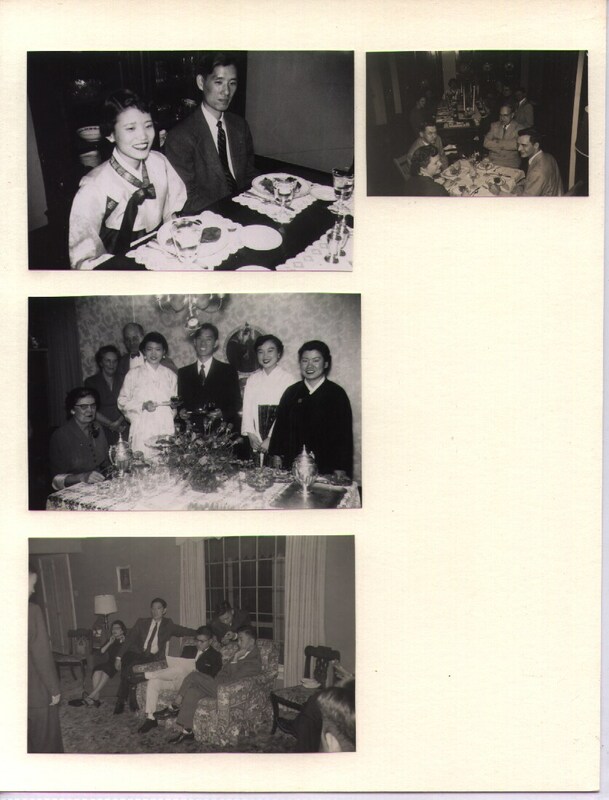 I would appreciate any corrections or additional information you might have about the people and places shown in the photos. 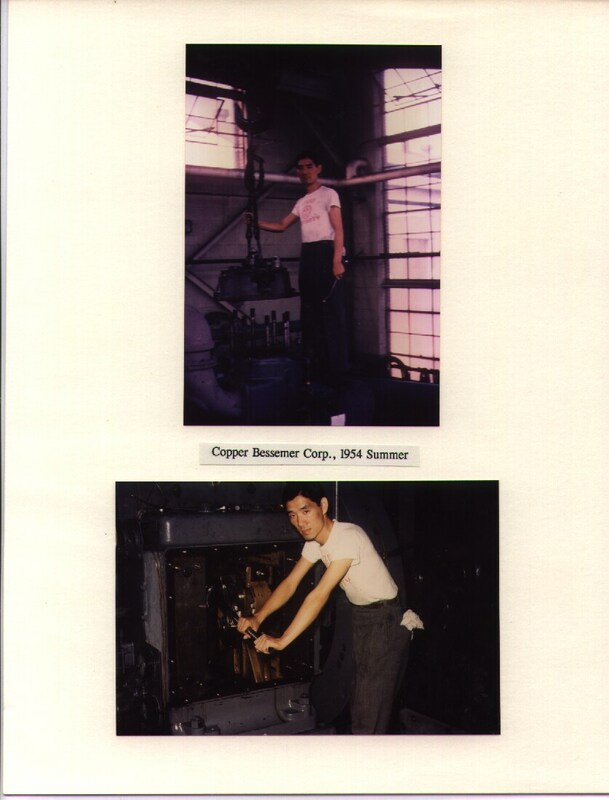 Columbus OH, 1954, Copper Bessemer Corp.